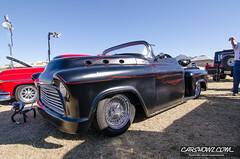 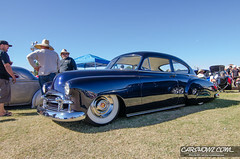 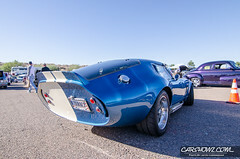 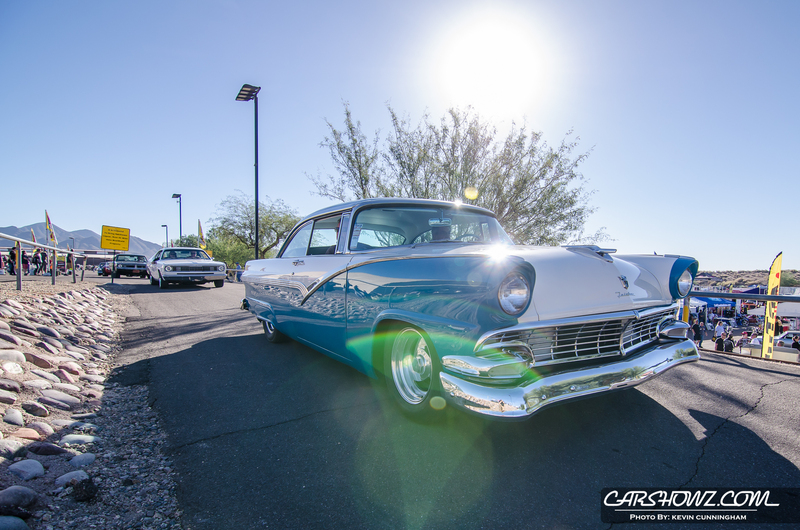 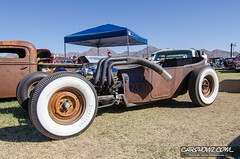 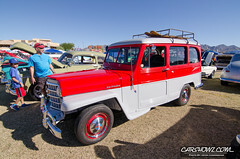 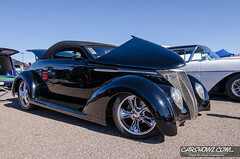 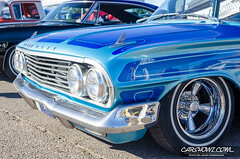 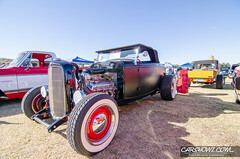 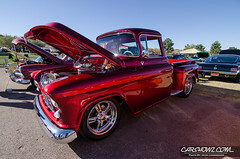 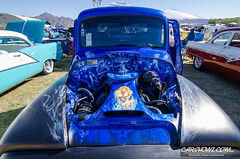 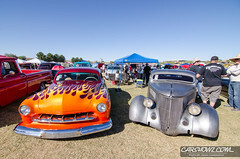 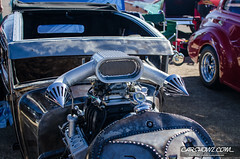 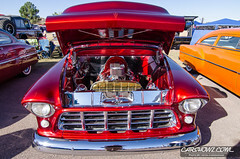 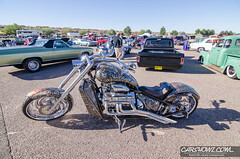 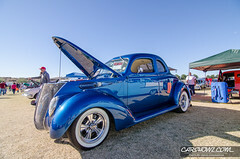 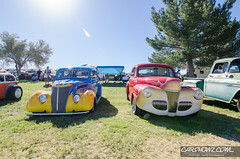 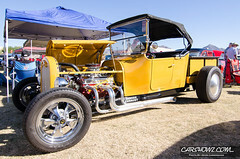 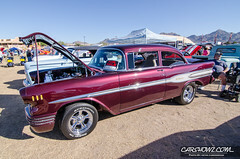 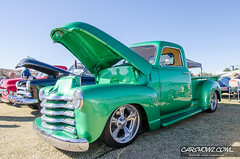 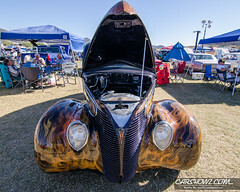 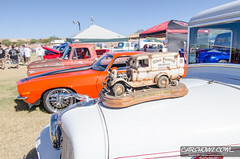 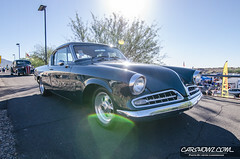 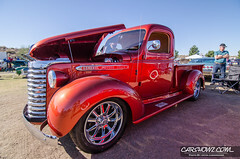 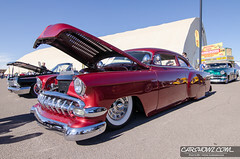 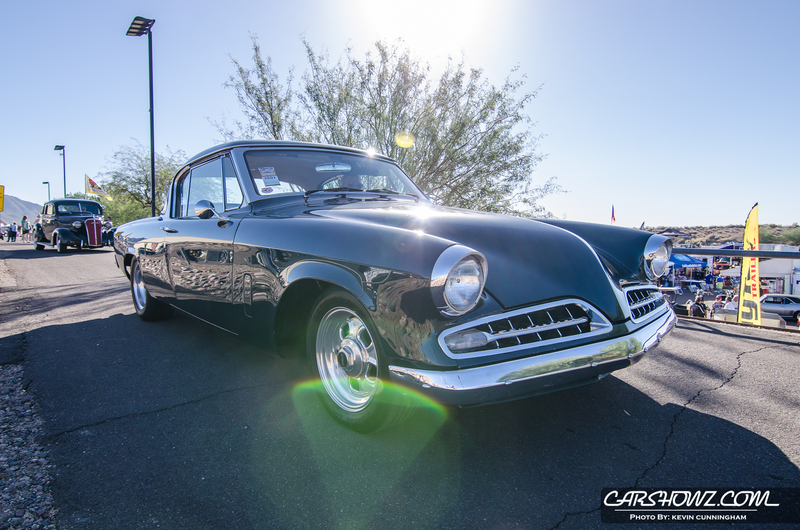 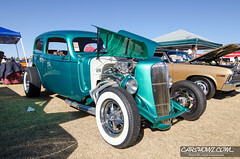 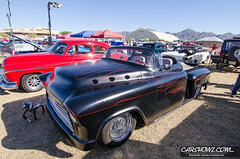 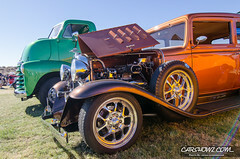 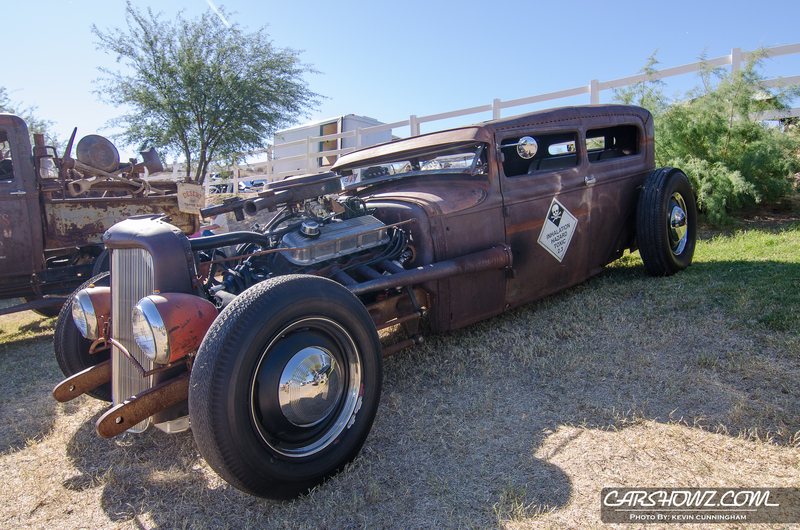 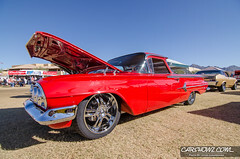 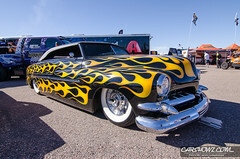 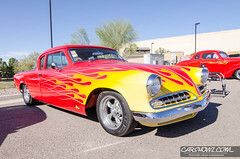 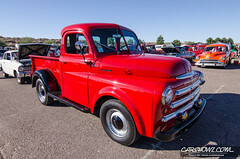 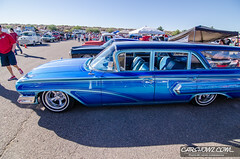 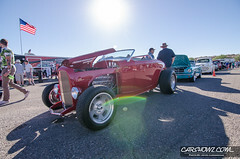 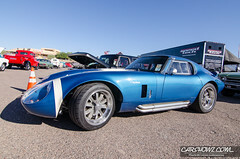 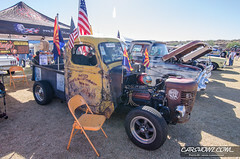 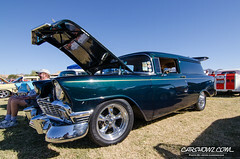 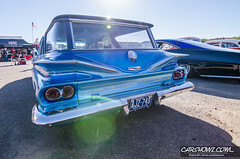 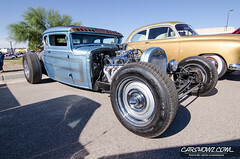 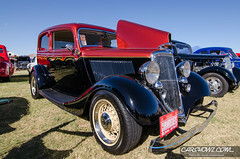 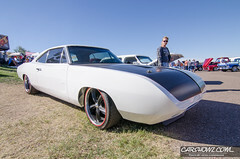 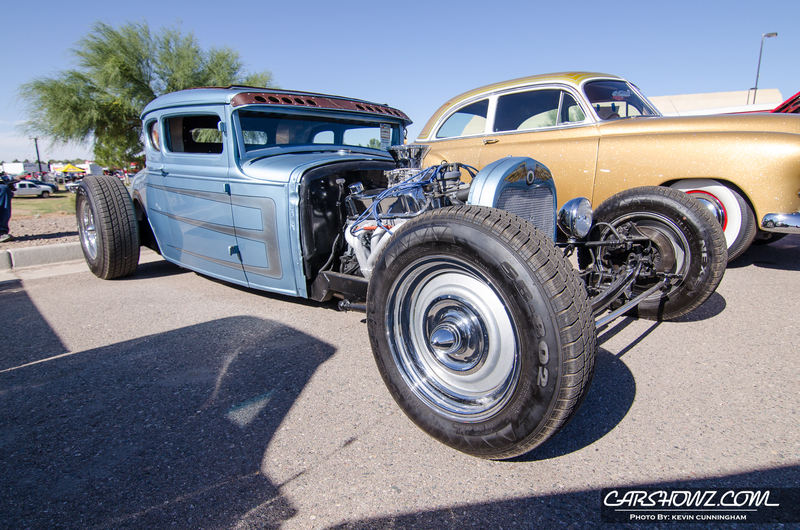 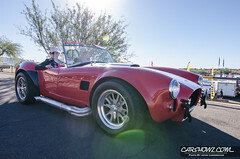 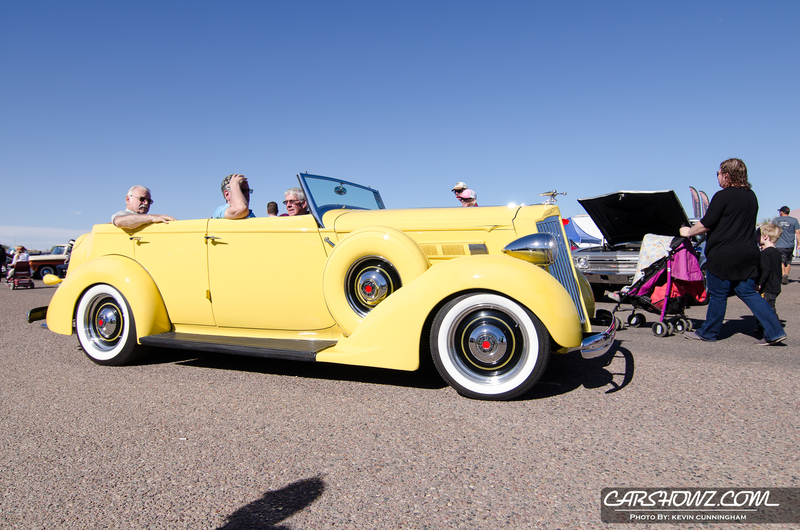 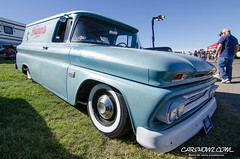 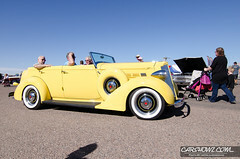 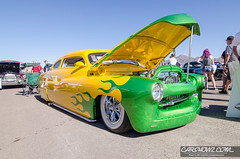 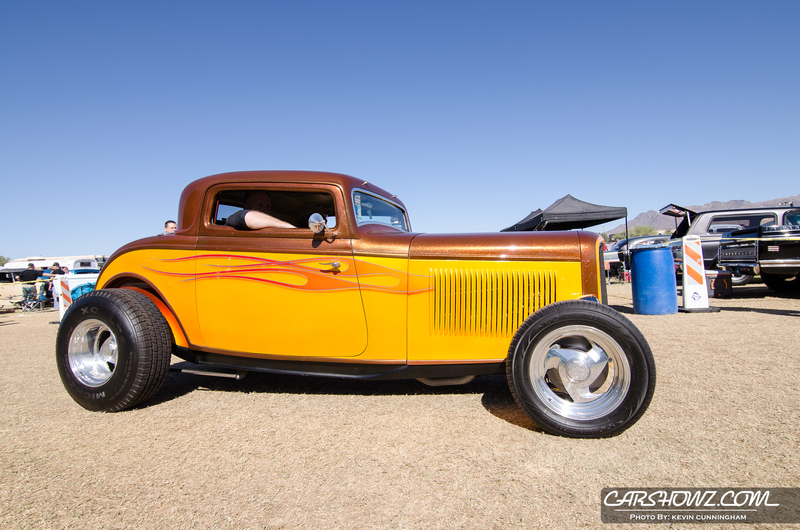 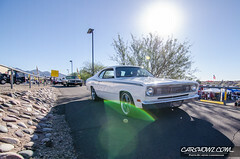 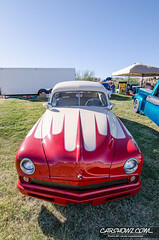 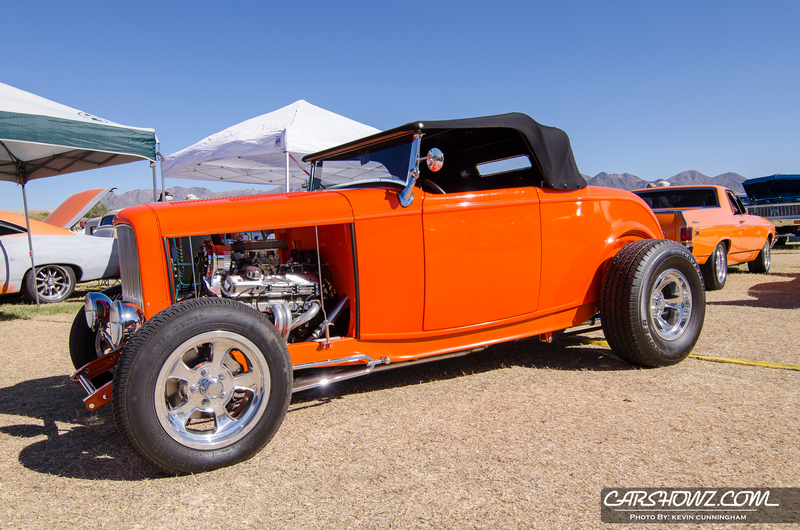 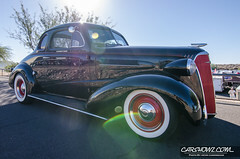 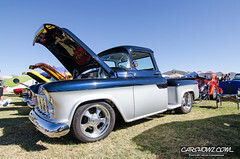 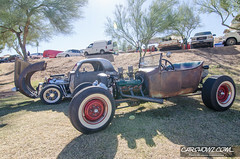 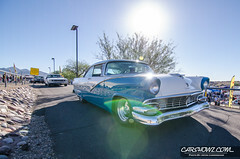 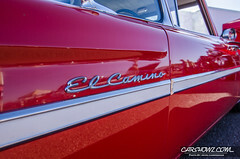 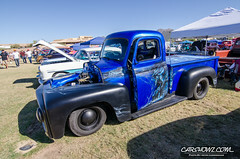 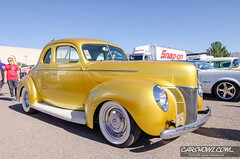 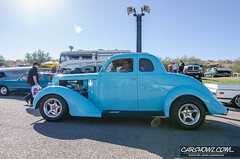 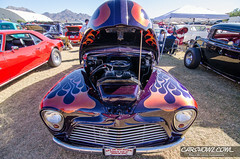 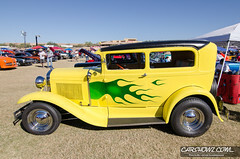 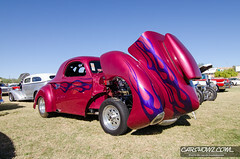 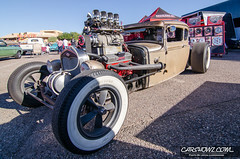 Goodguys 19th Southwest Nationals kicked off in Scottsdale, Arizona on Friday, November 18th to some seasonably warm weather. 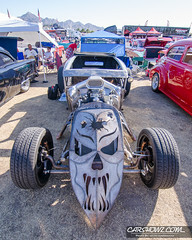 Being relatively new to the area and feeling slightly adjusted, I decided to start looking for shows to attend. 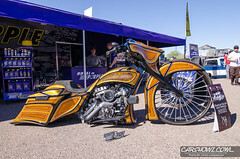 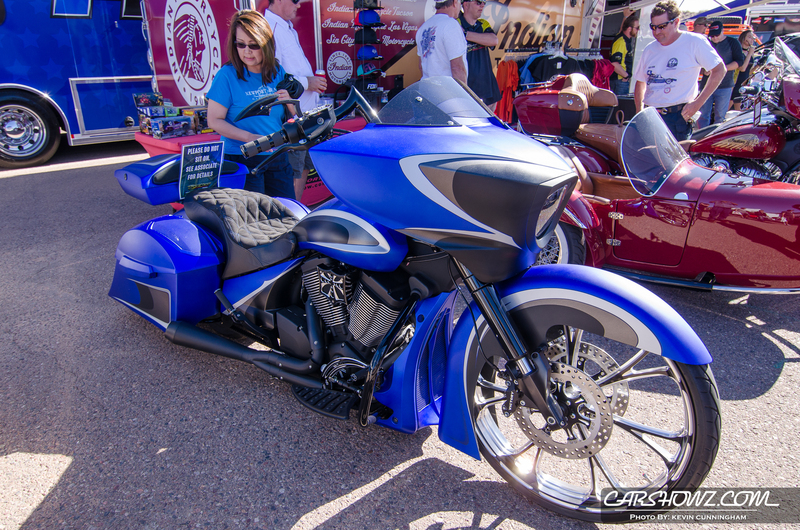 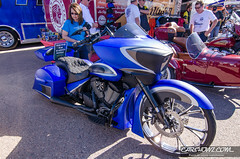 I came across the flyer for the Southwest Nationals and decided it would be a nice motorcycle ride at the very least. I apparently had no clue what I was getting myself into. 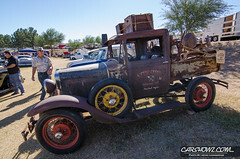 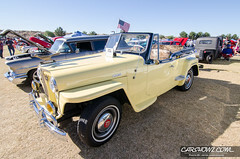 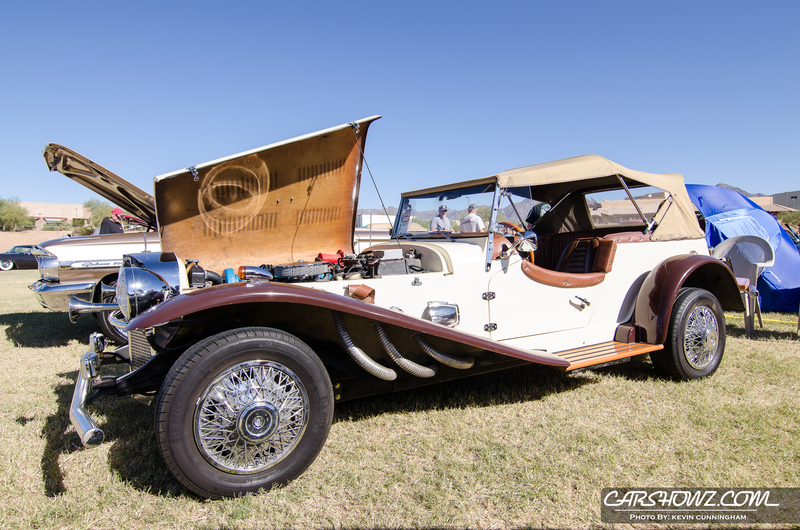 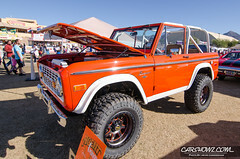 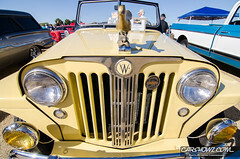 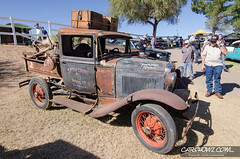 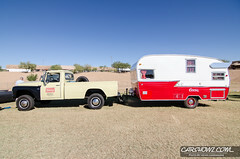 There ended up being over 3300 vehicles and tens of thousands of spectators. 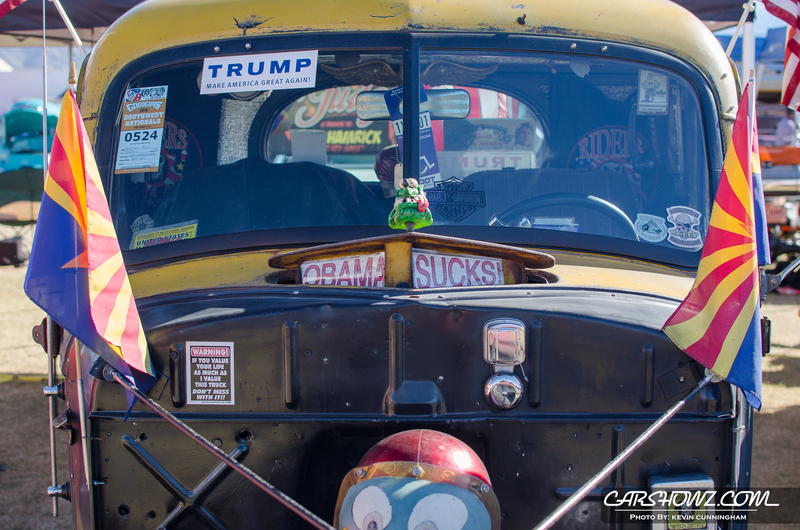 Walking in was so overwhelming it took me about 10 minutes to collect my thoughts and figure out how I was going to tackle coverage. Due to the sheer number of vehicles I made the decision to be selective. 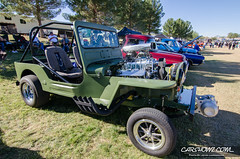 That was a tough choice for me to make because I like to appreciate and highlight every build but had I gone that route, I would only have captured the first few rows of vehicles. 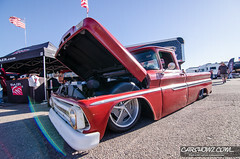 I missed out on so much that this show is a must for next year! 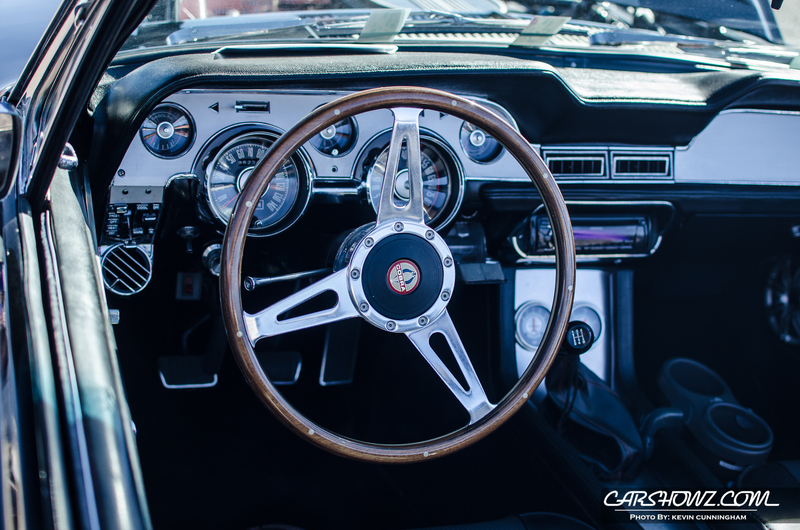 The quality and craftsmanship highlighted in the coverage below was absolutely stunning and it filled me with a renewed passion for this “hobby” we all love. 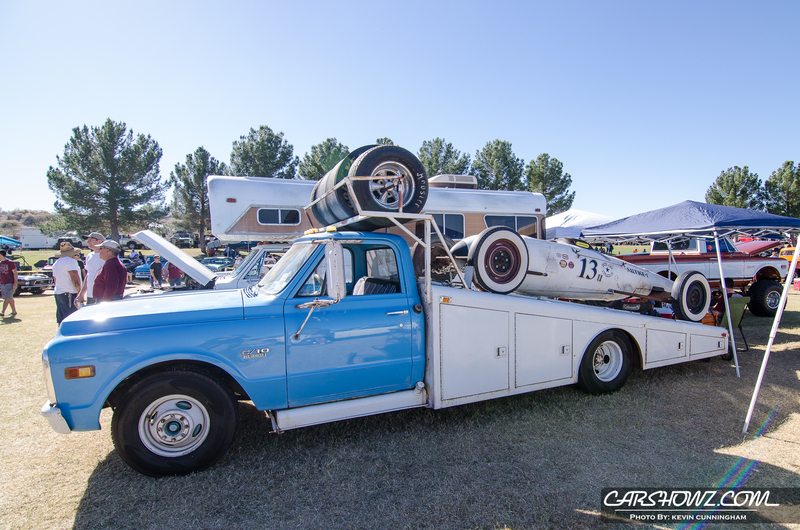 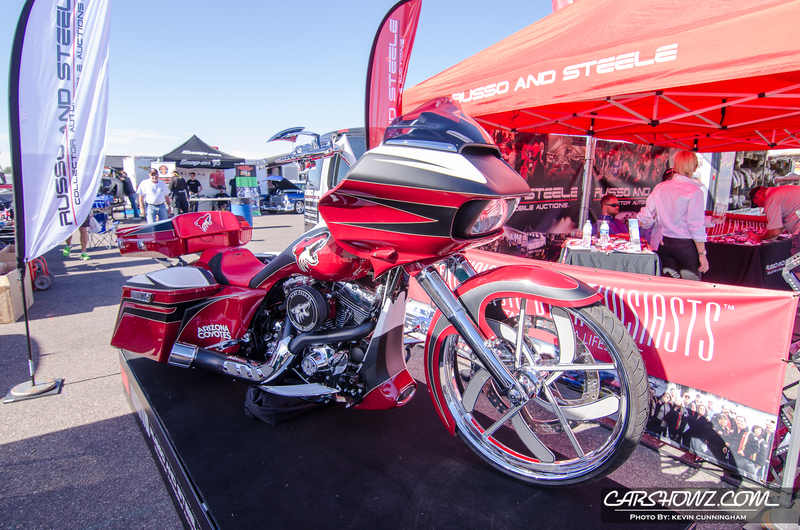 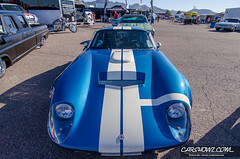 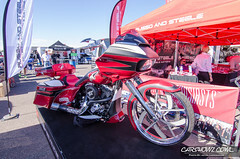 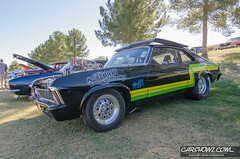 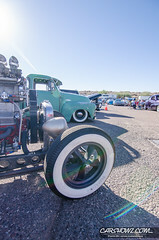 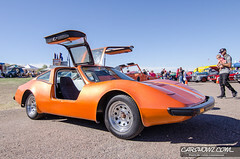 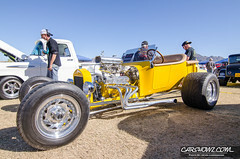 Some highlights of the show this year were the Duel in the Desert AutoCross, the Nitro Thunderfest Dragster Exhibit, K&N All American Sunday, a gigantic swap meet, and live entertainment. 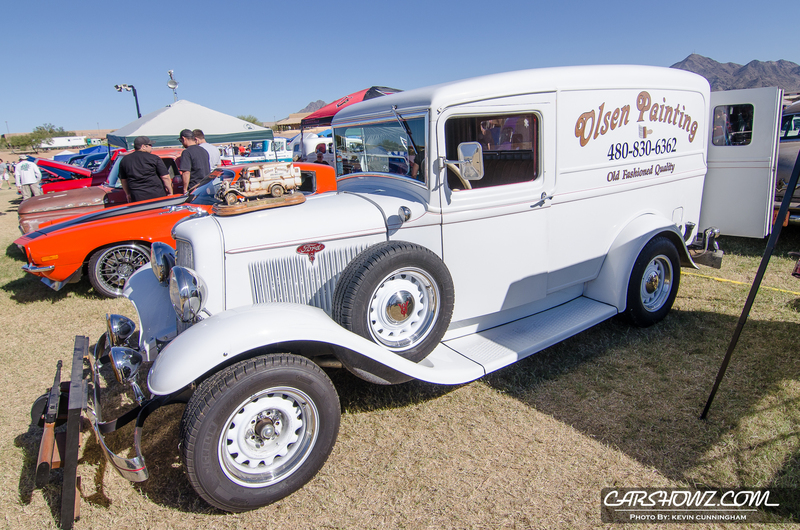 There were several vendors on hand including K&N and Meguiar’s. 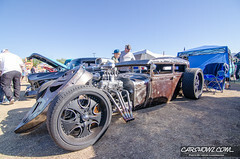 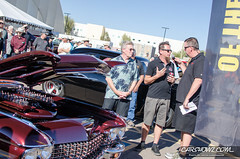 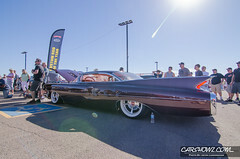 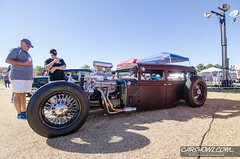 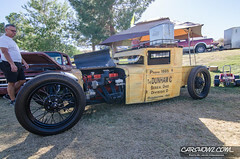 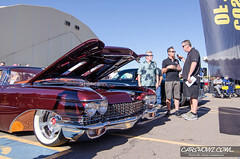 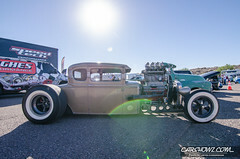 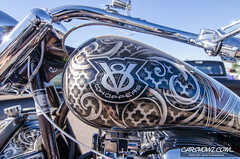 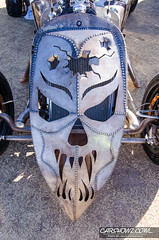 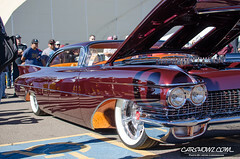 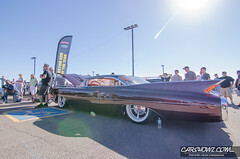 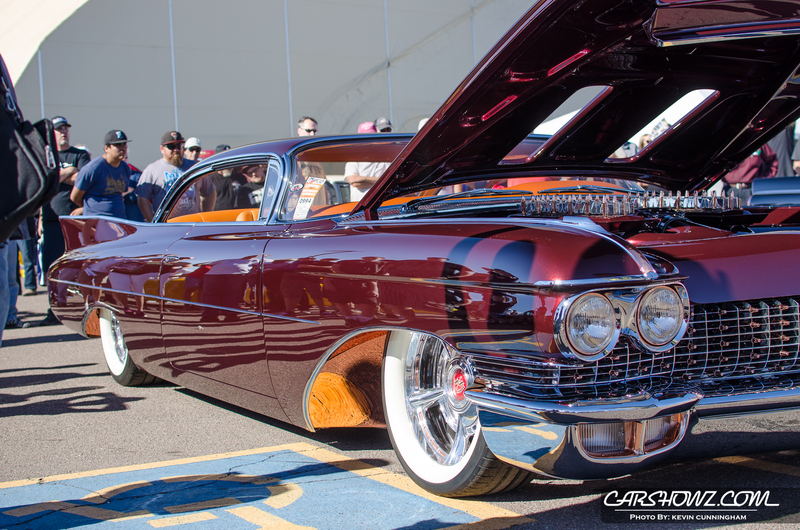 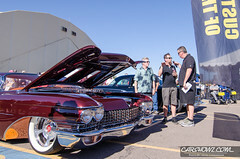 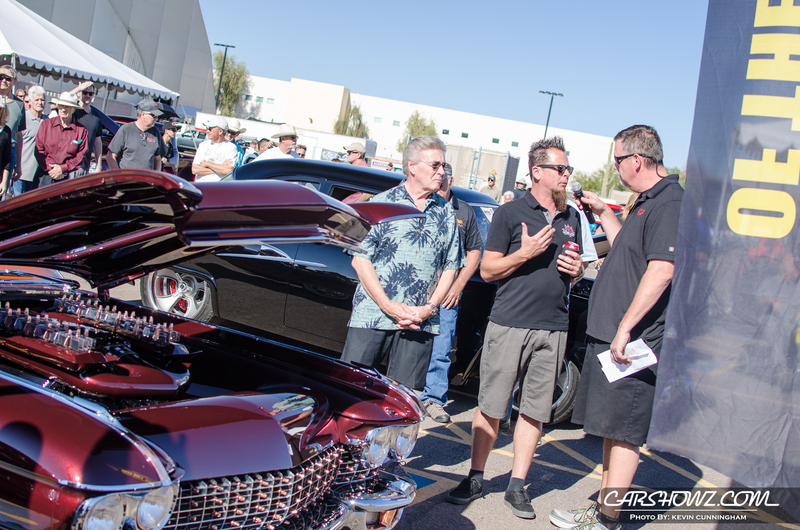 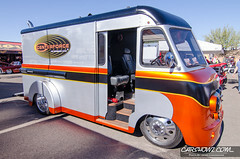 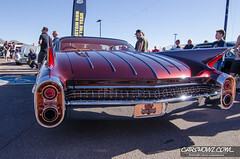 Dave Kindig of Velocity’s Bitchin’ Rides was in attendance to show off the 1960 Copper Caddy built by Kindig It Design. 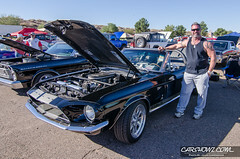 The car is beautiful and Dave is a very humble person. 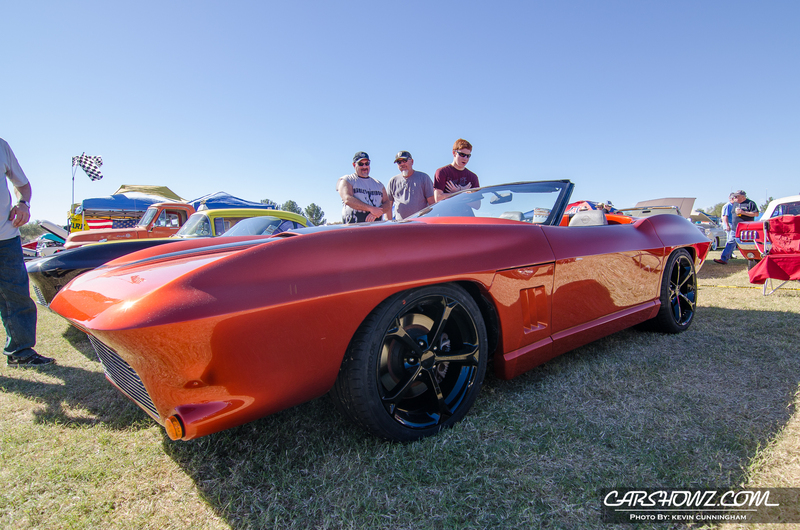 The experience is not one that I’ll soon forget. 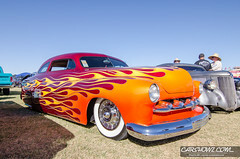 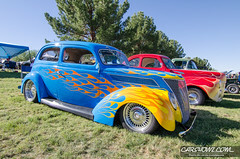 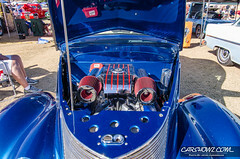 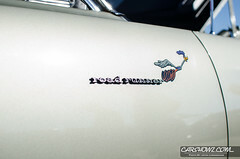 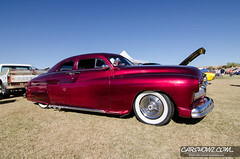 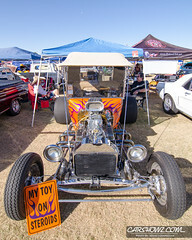 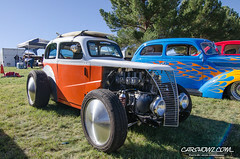 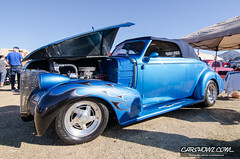 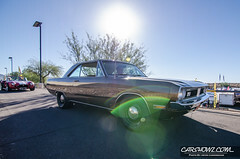 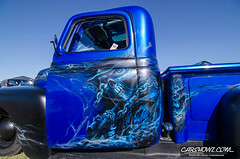 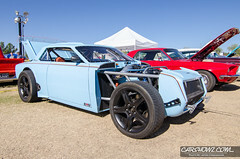 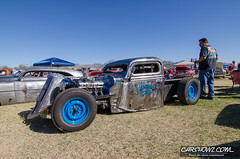 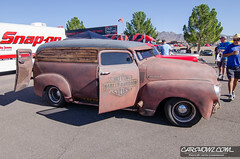 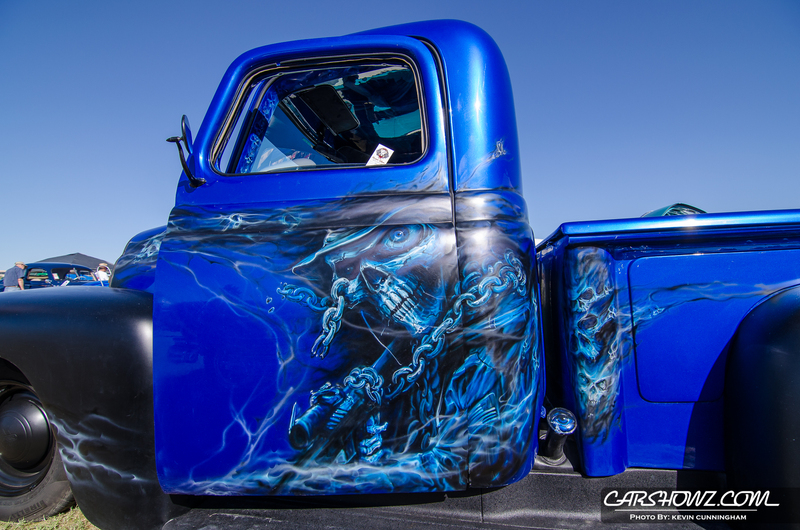 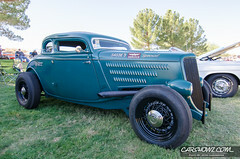 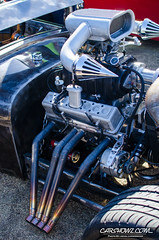 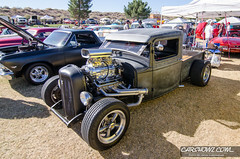 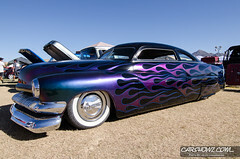 More about Goodguys via good-guys.com: The Goodguys Rod & Custom Association promotes and produces some of the world’s most dynamic automotive events. Why? 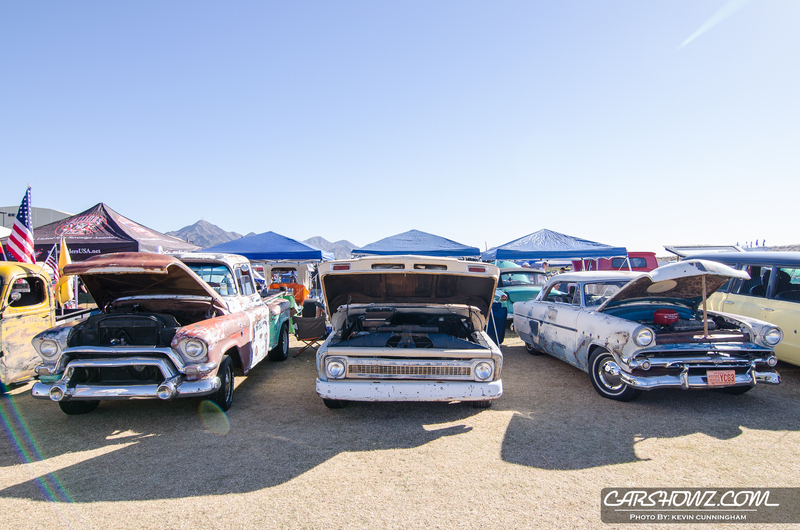 Because we’re car people, just like you. 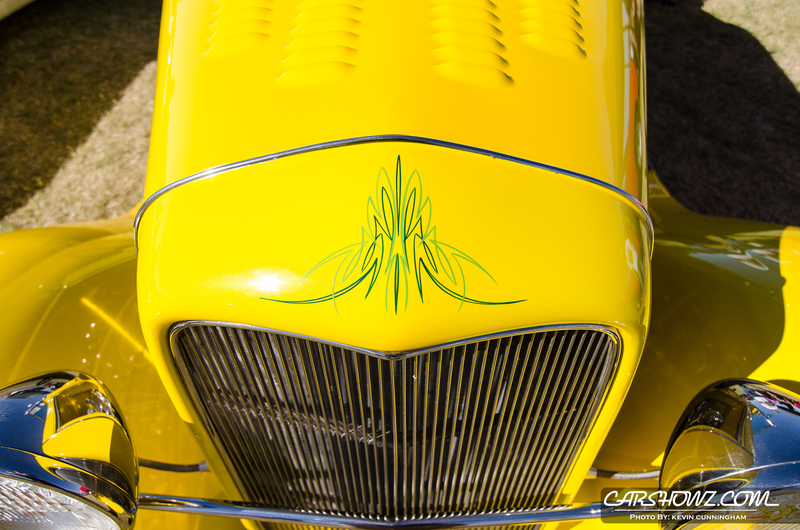 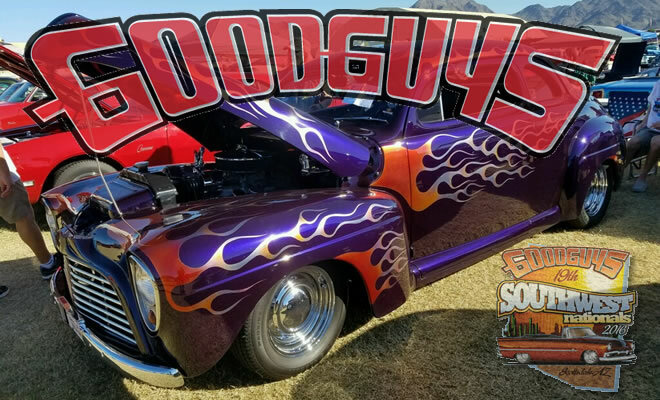 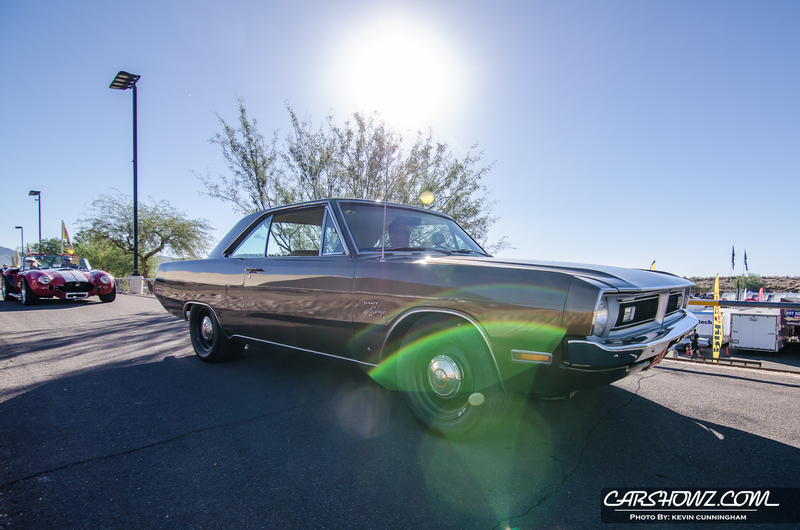 Founded by lifelong hot rodder Gary Meadors in 1983, Goodguys is the world’s largest hot rodding association with over 70,000 active members worldwide. 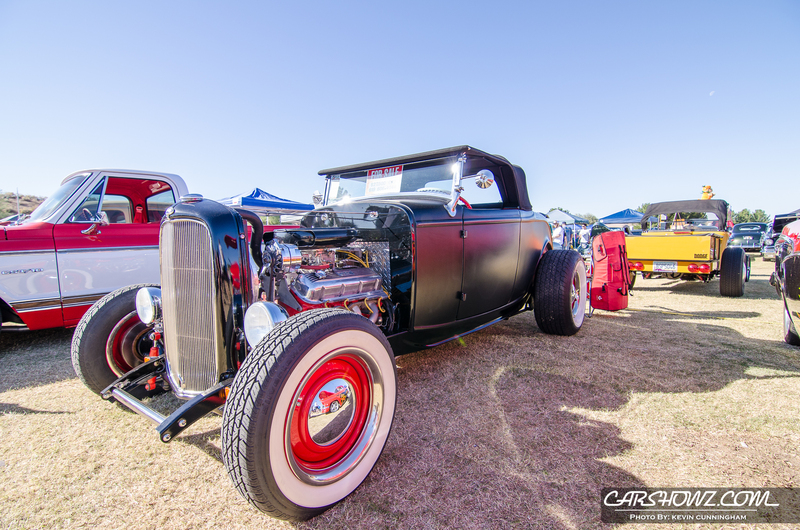 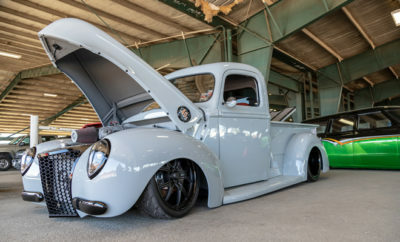 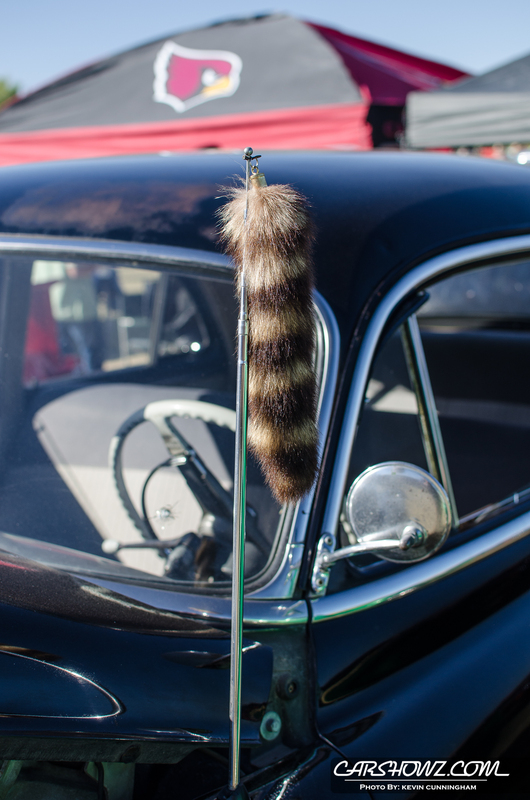 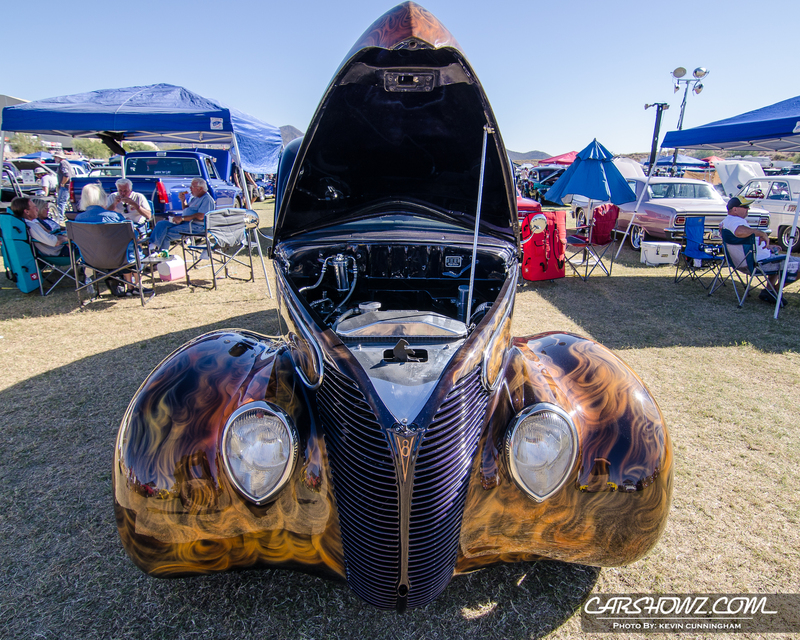 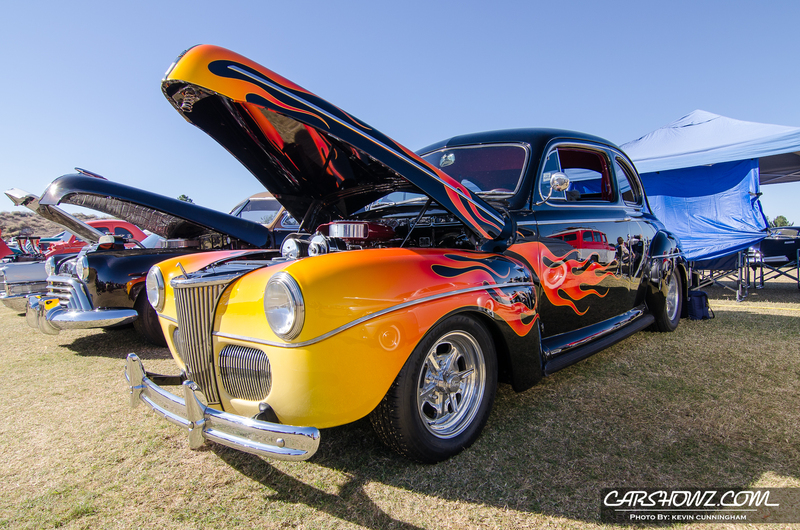 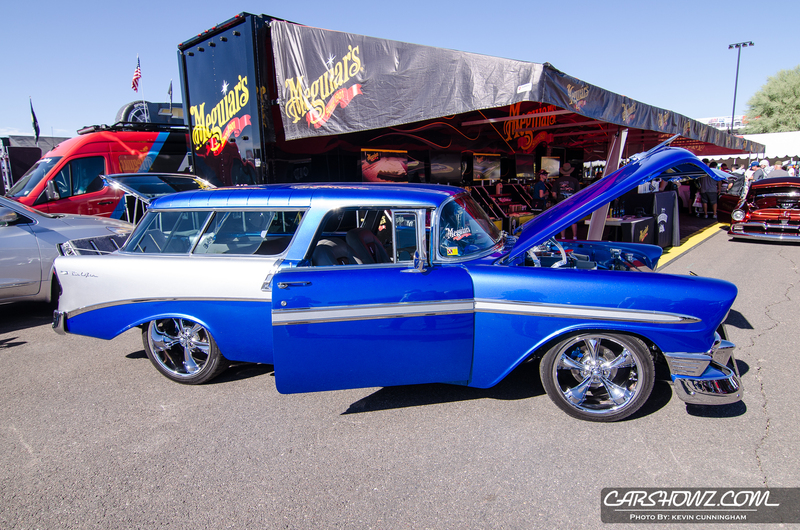 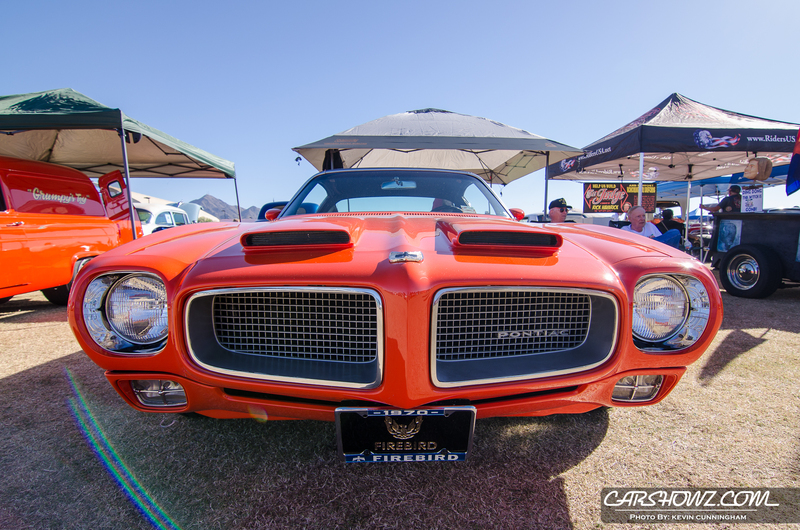 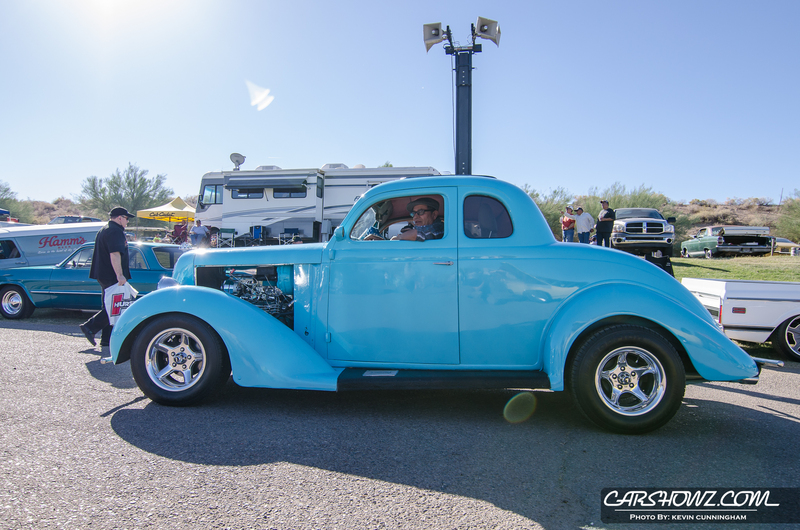 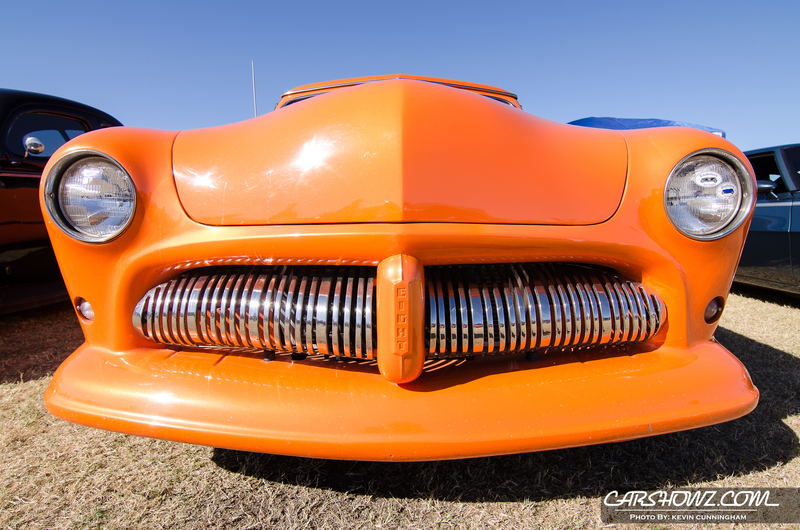 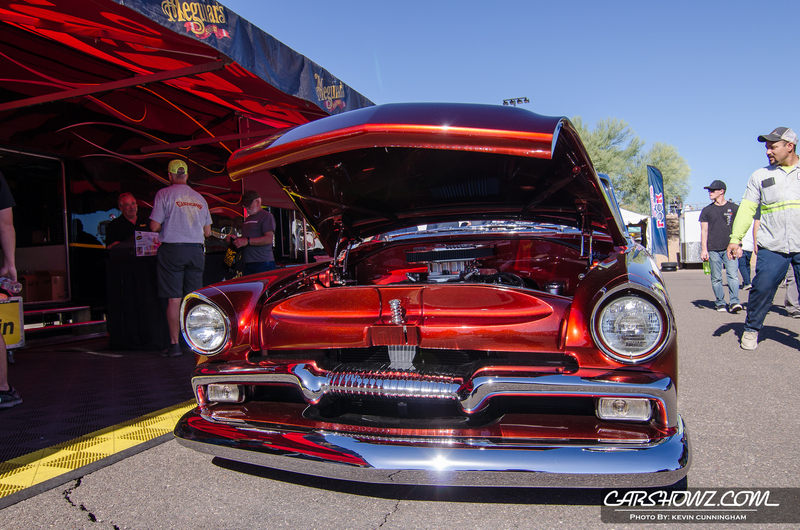 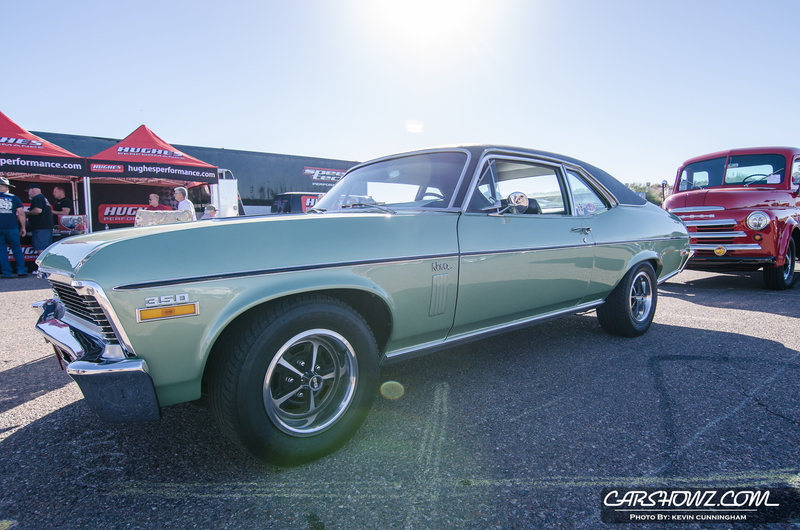 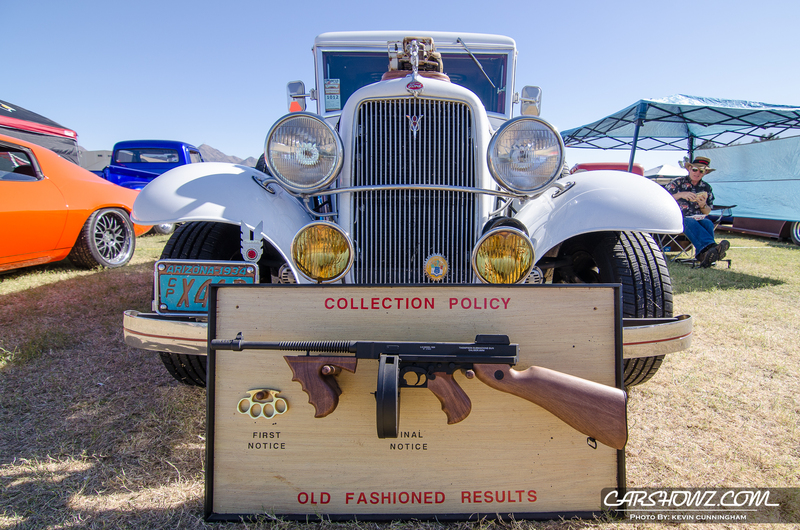 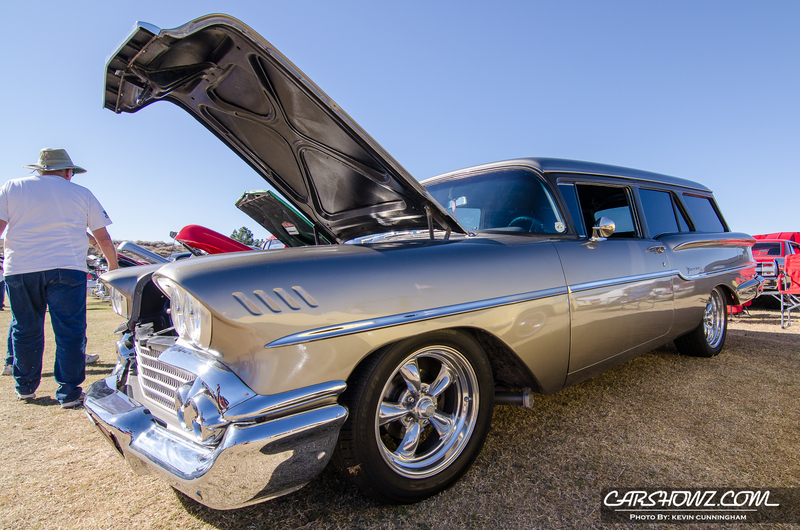 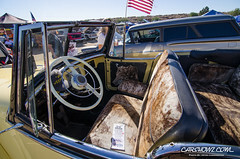 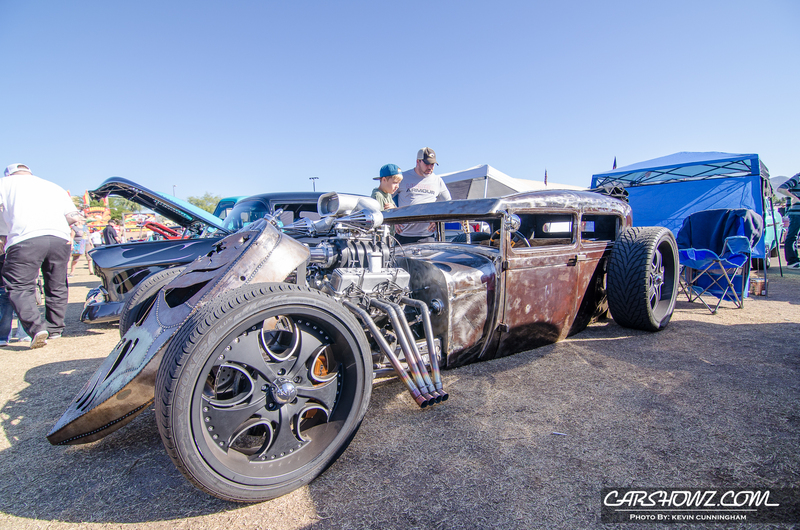 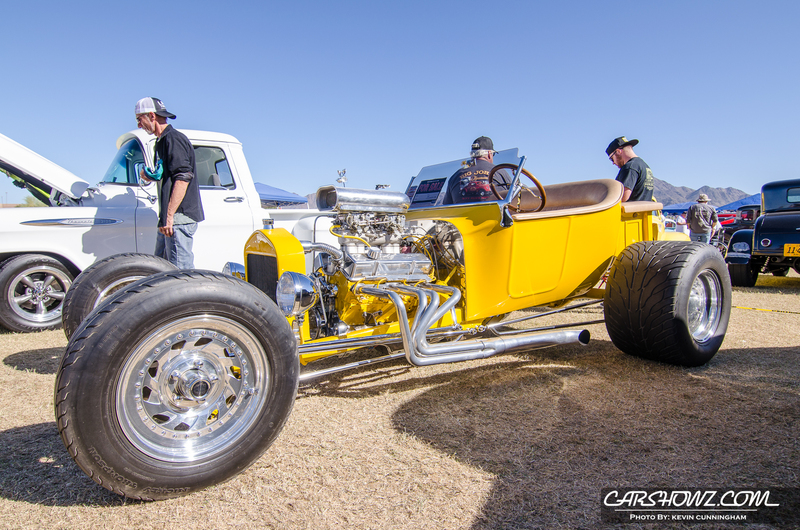 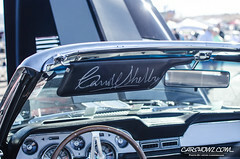 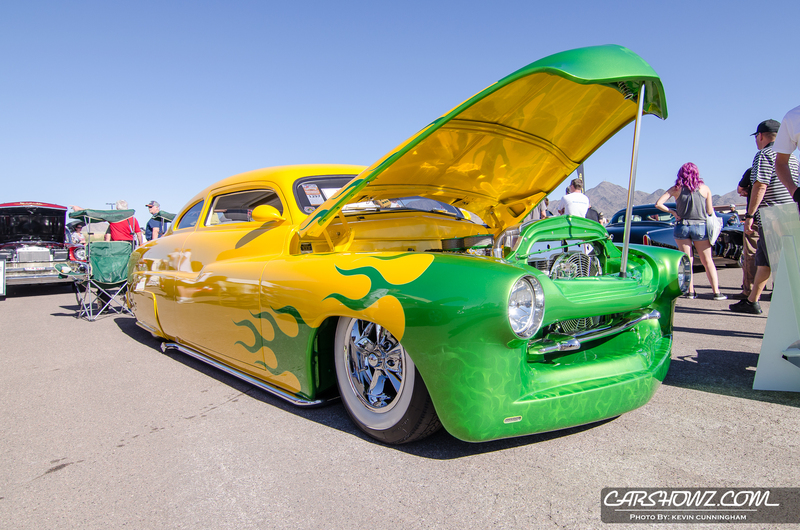 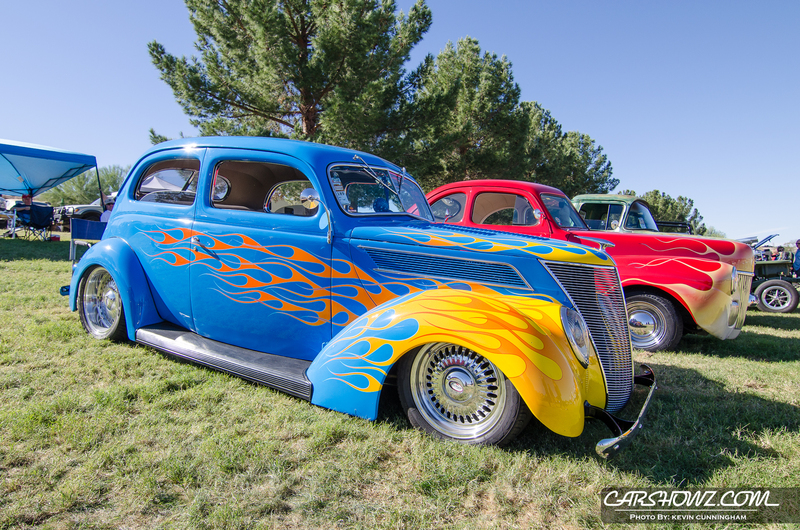 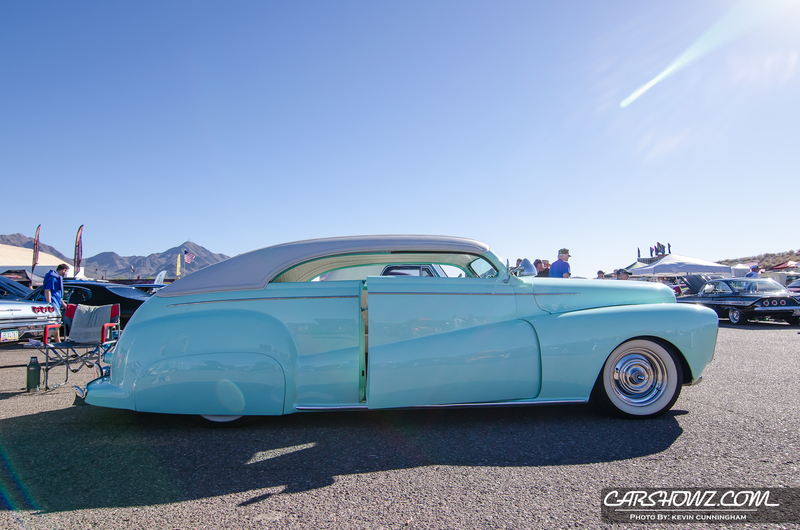 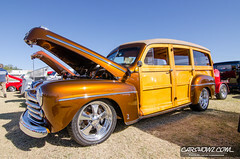 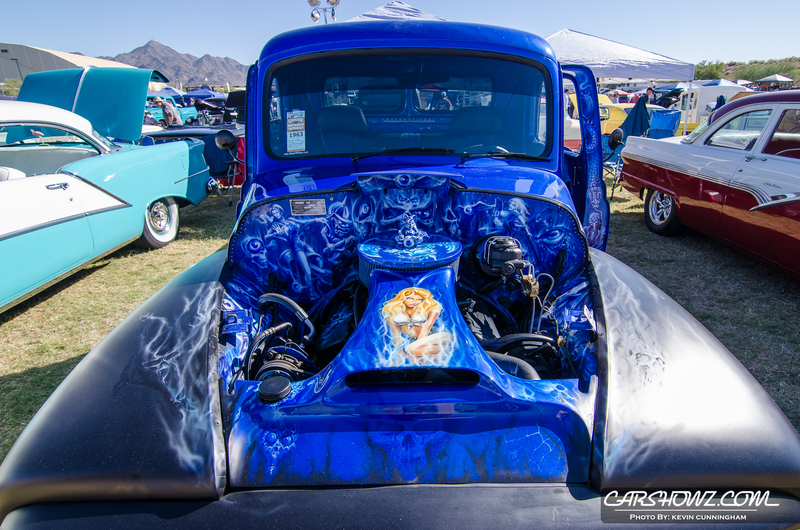 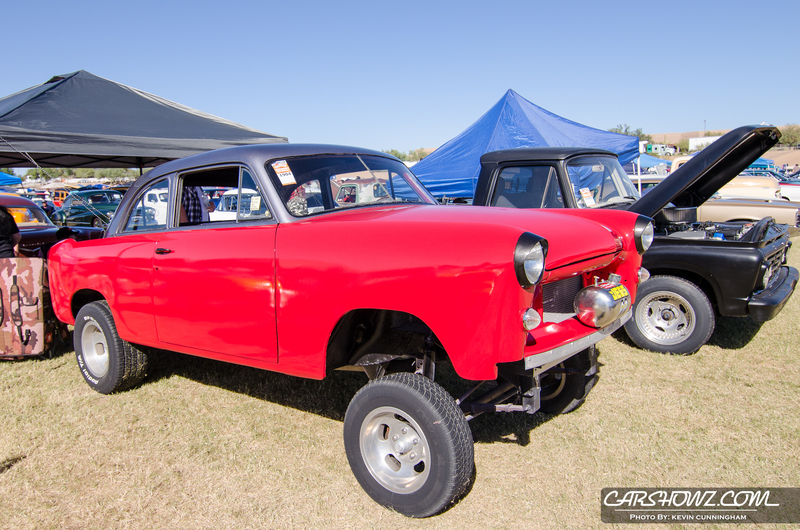 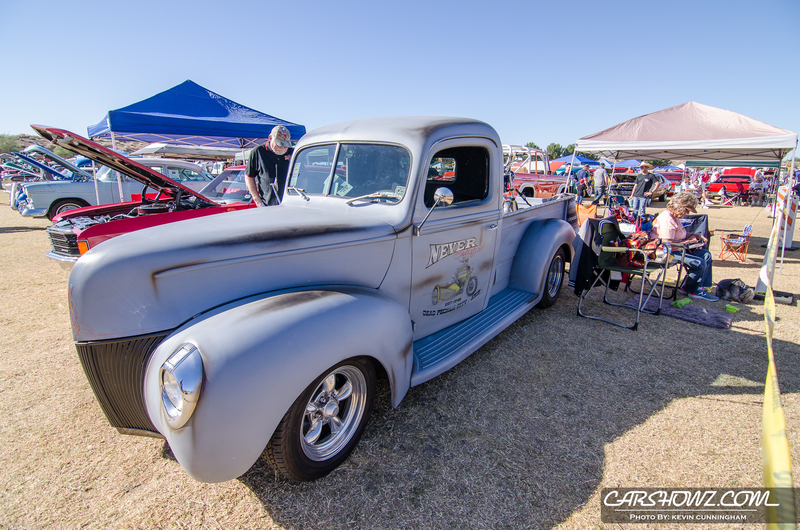 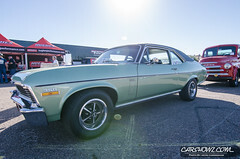 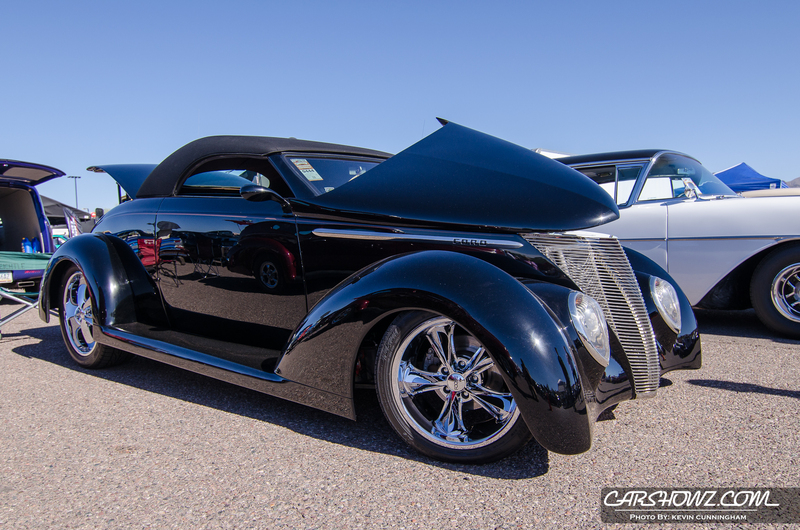 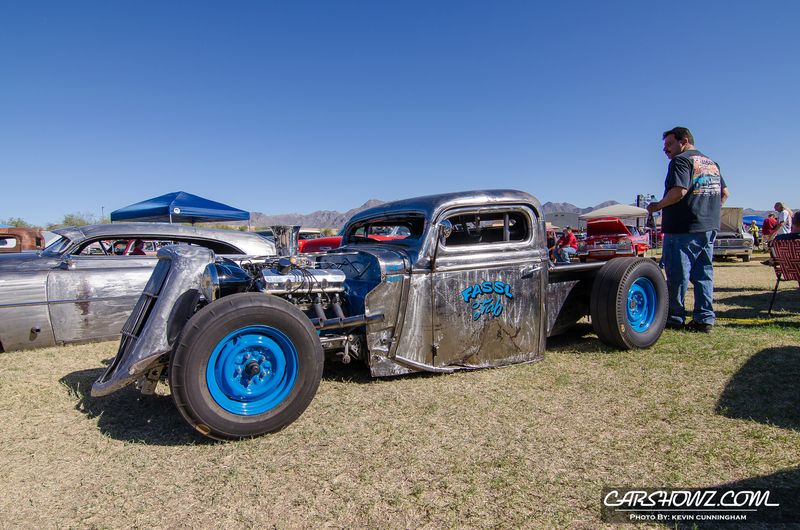 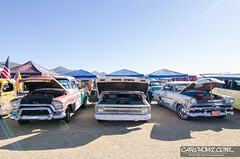 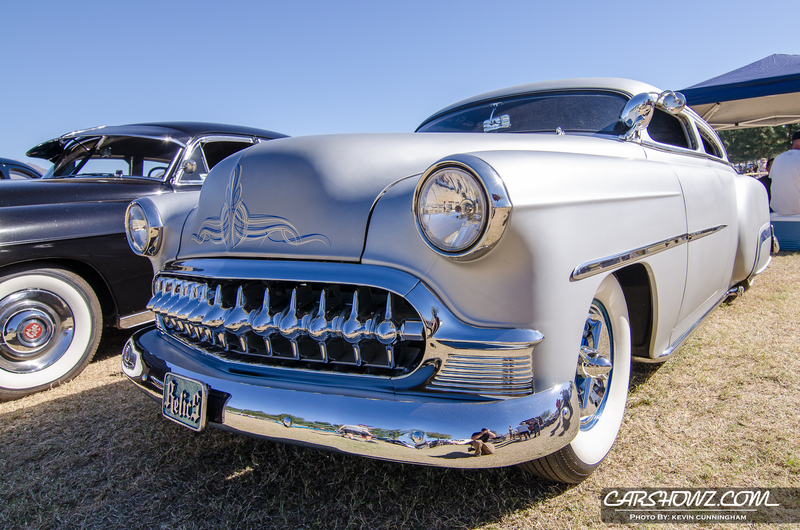 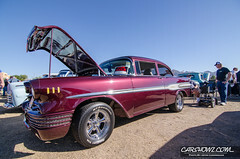 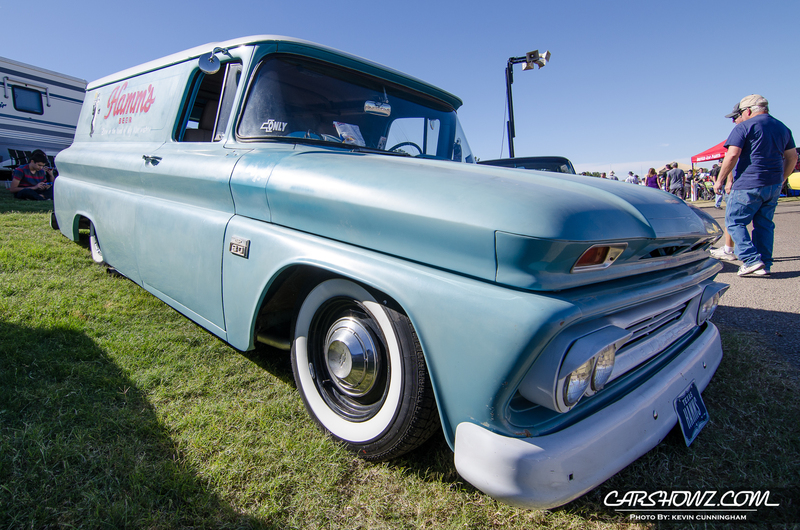 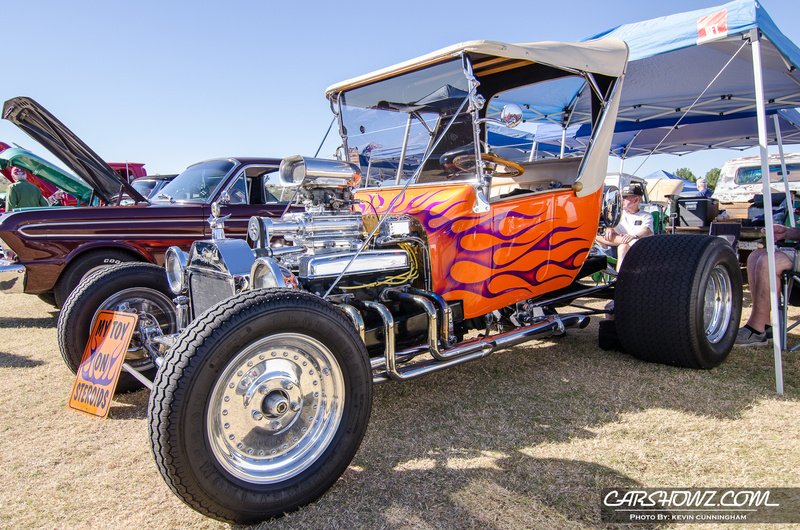 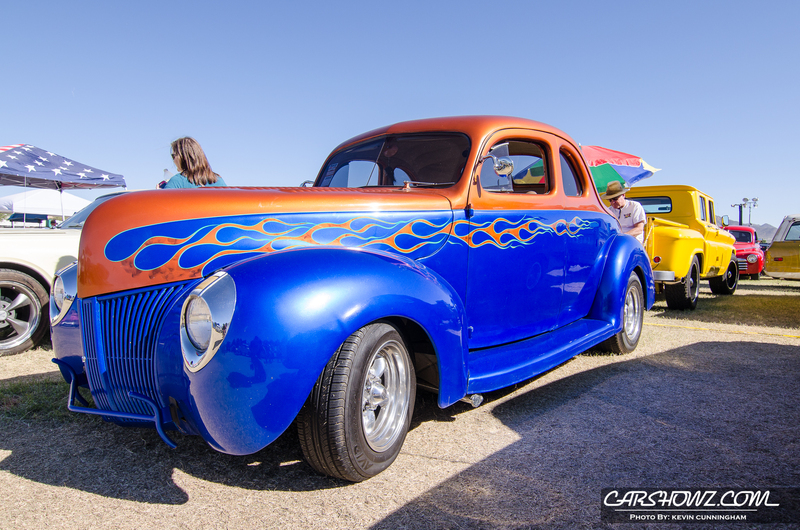 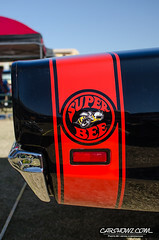 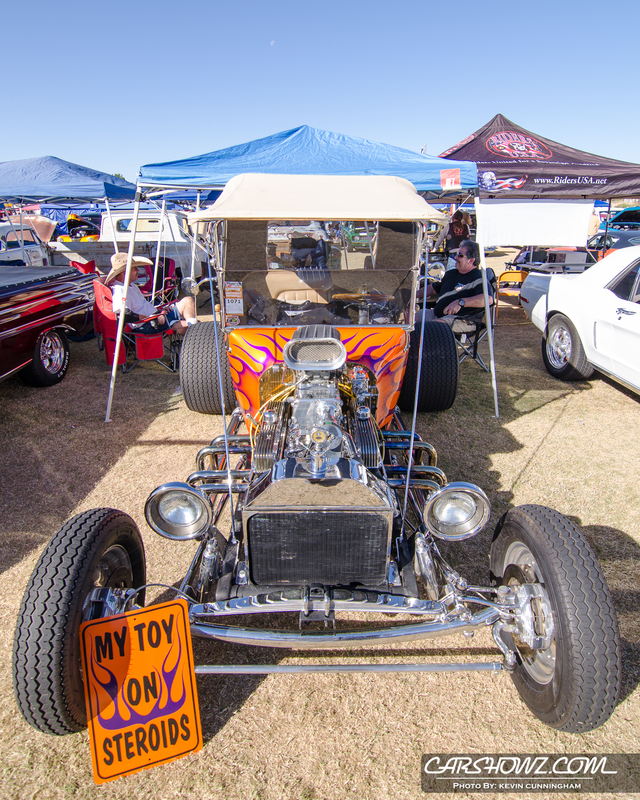 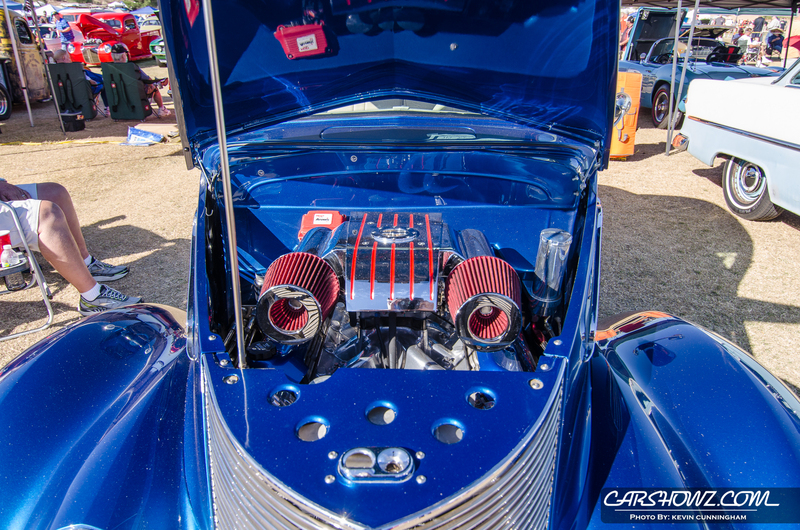 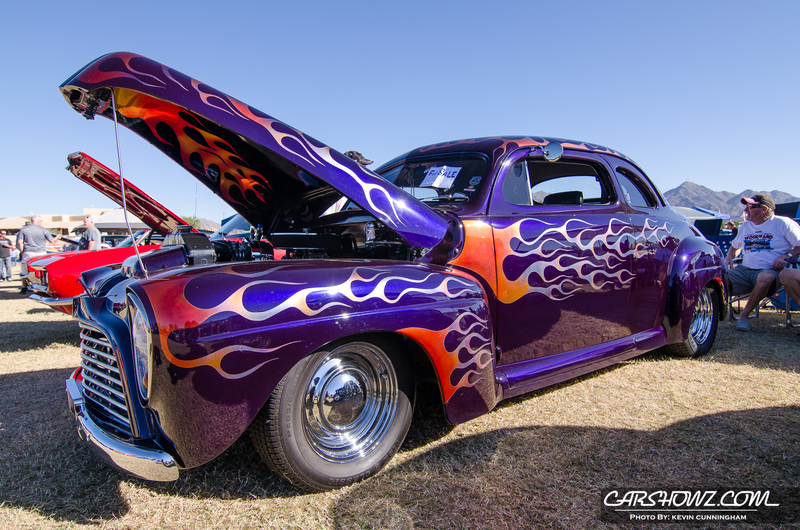 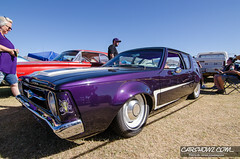 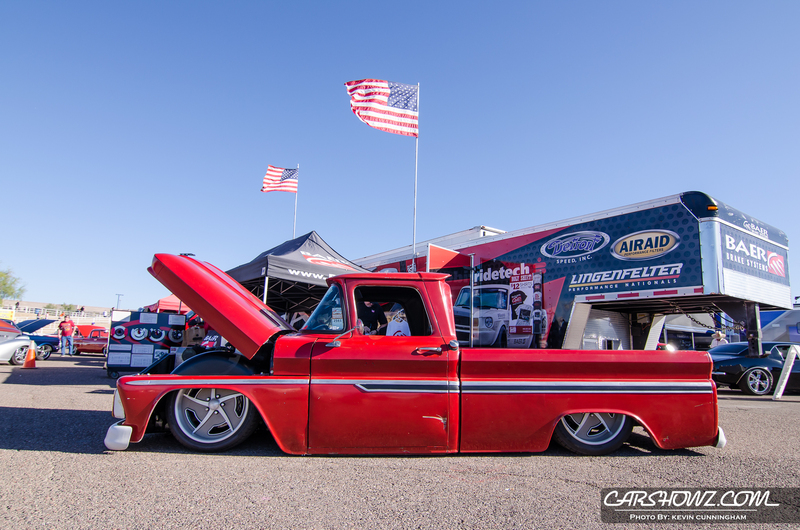 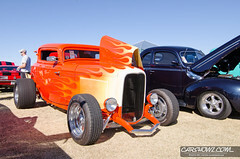 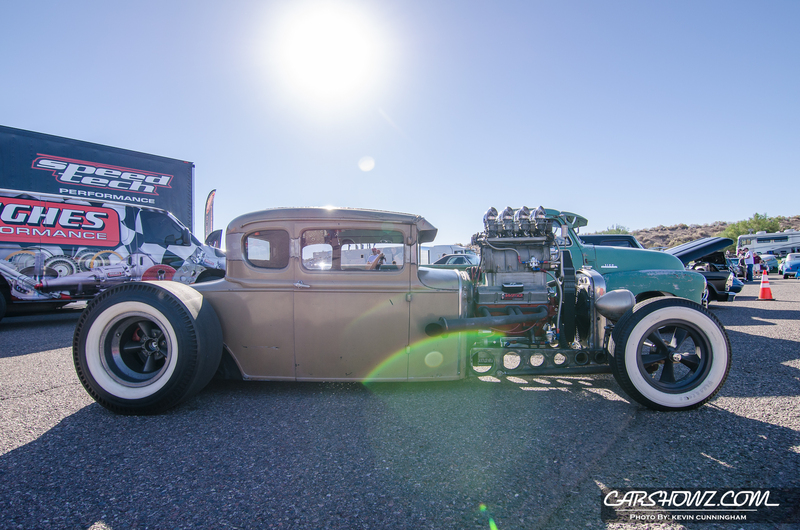 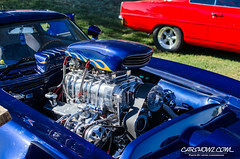 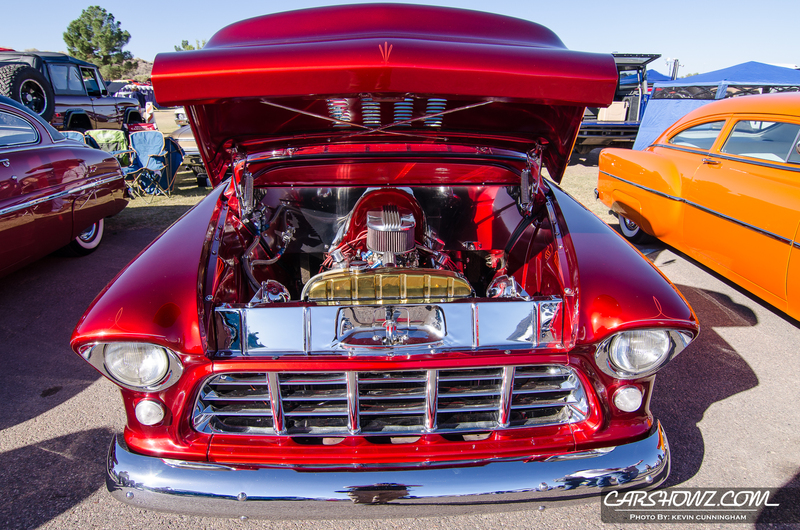 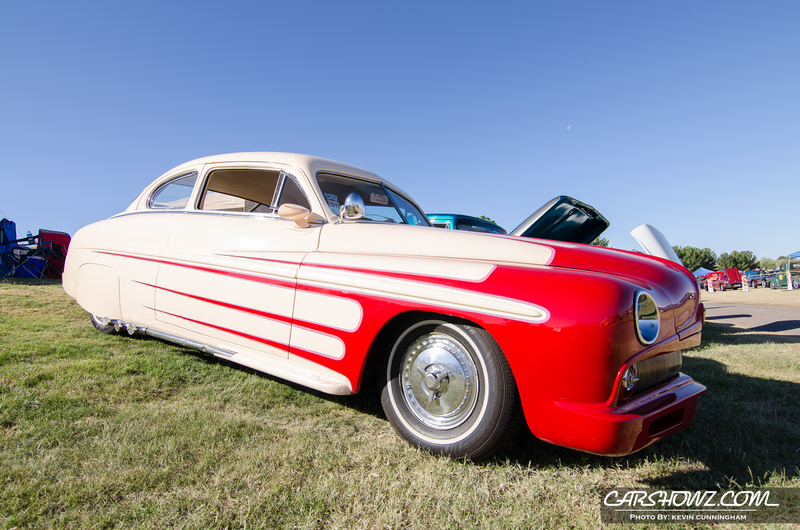 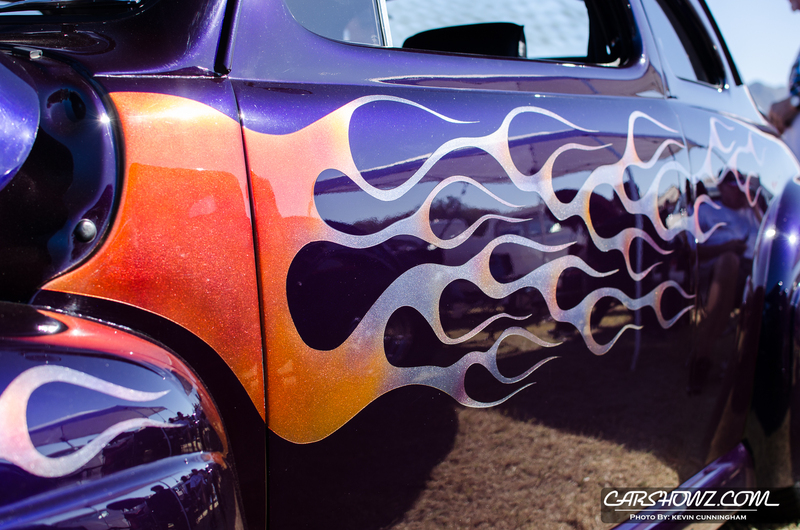 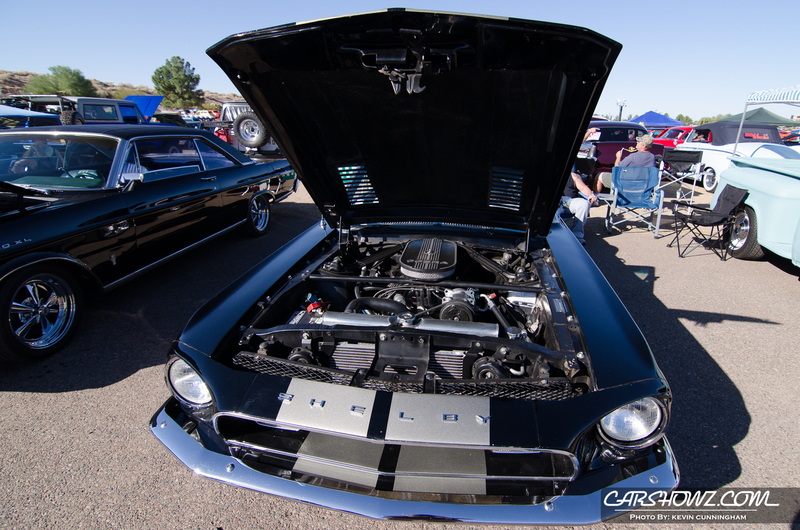 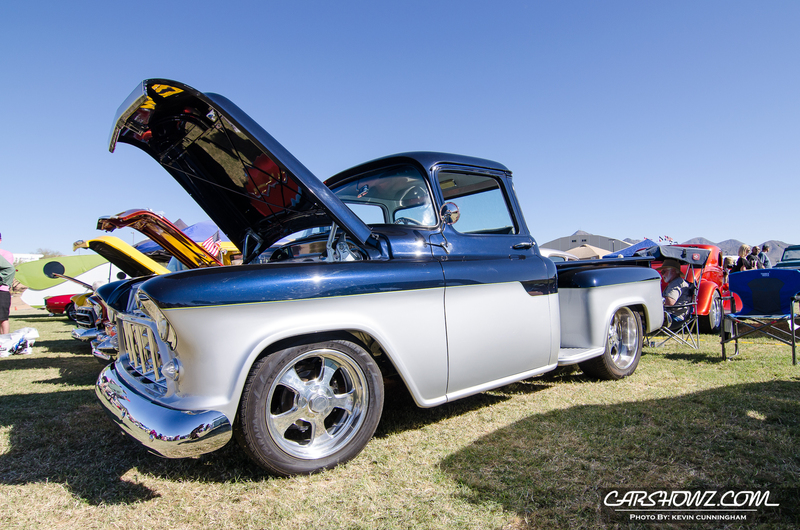 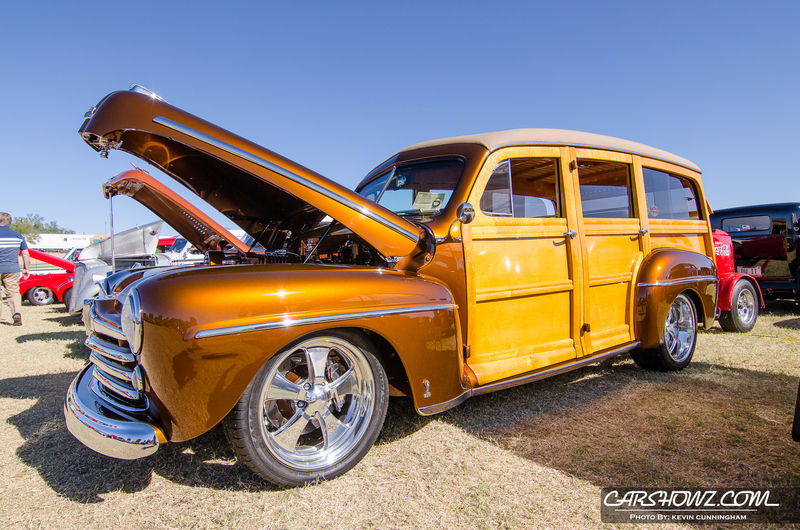 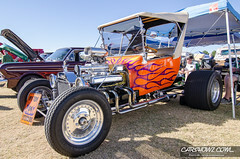 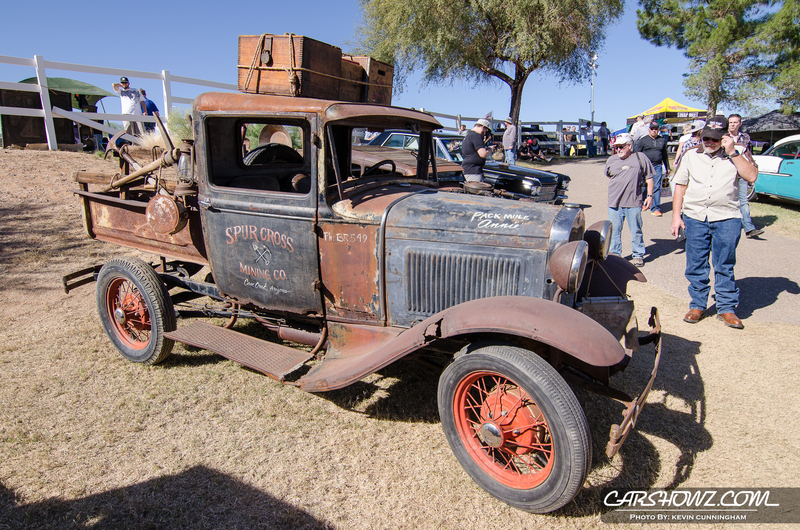 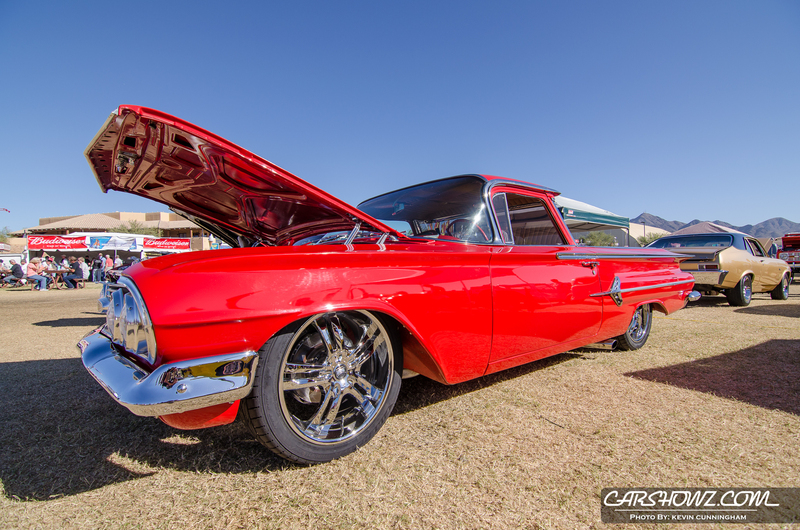 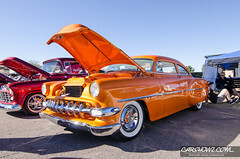 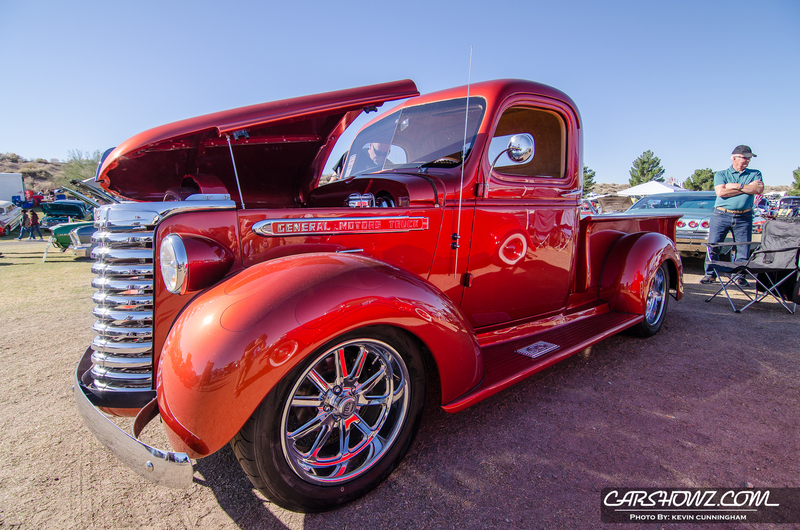 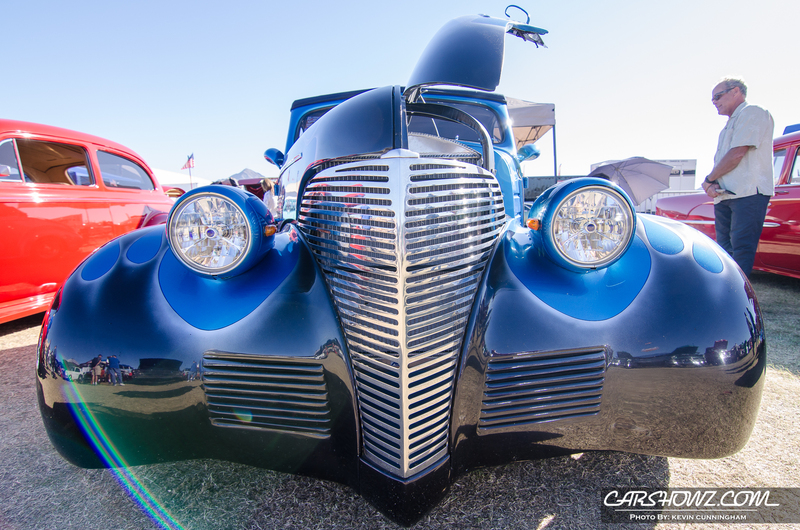 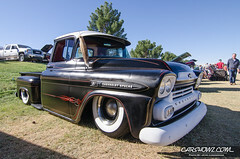 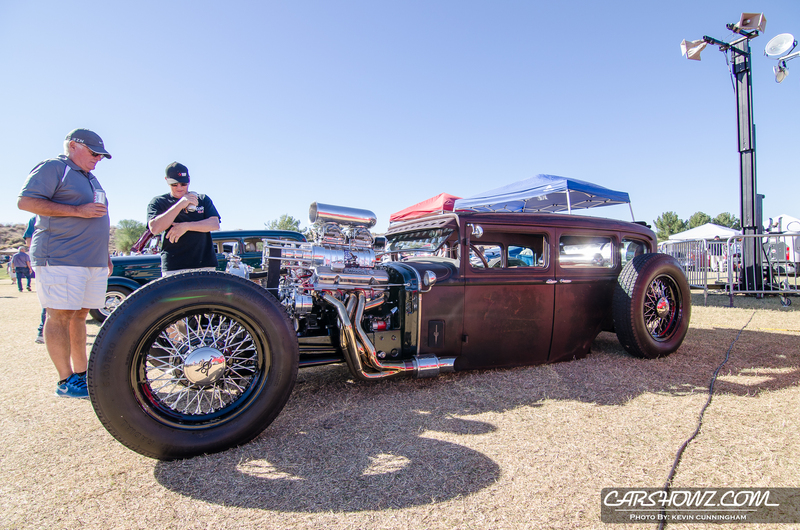 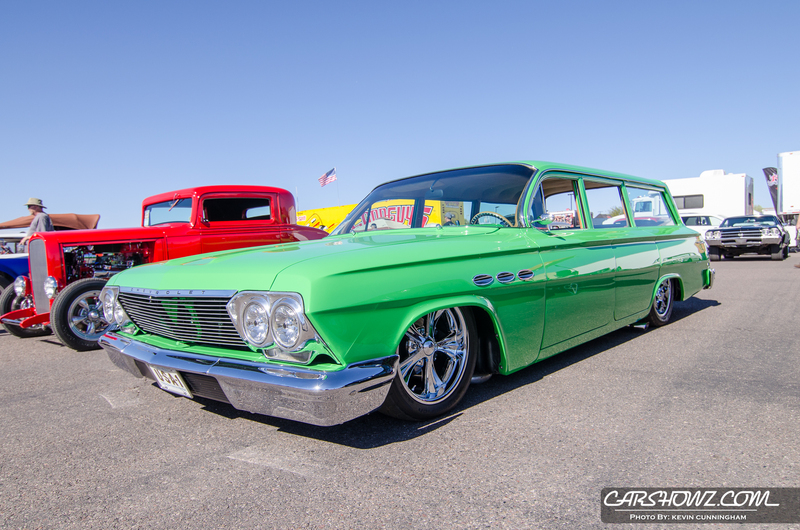 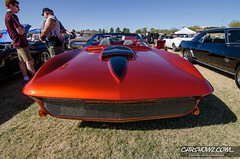 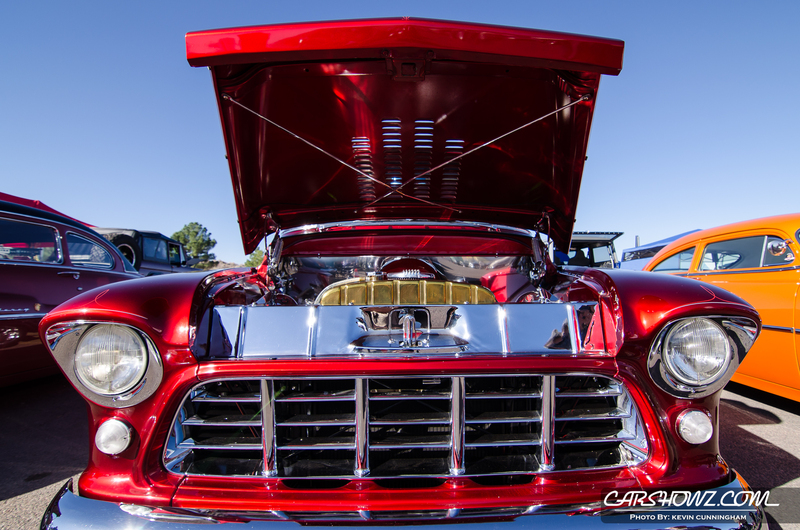 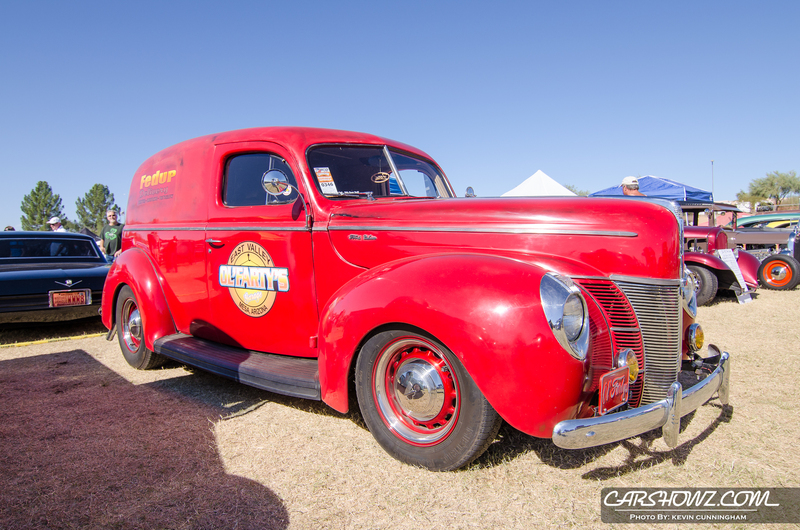 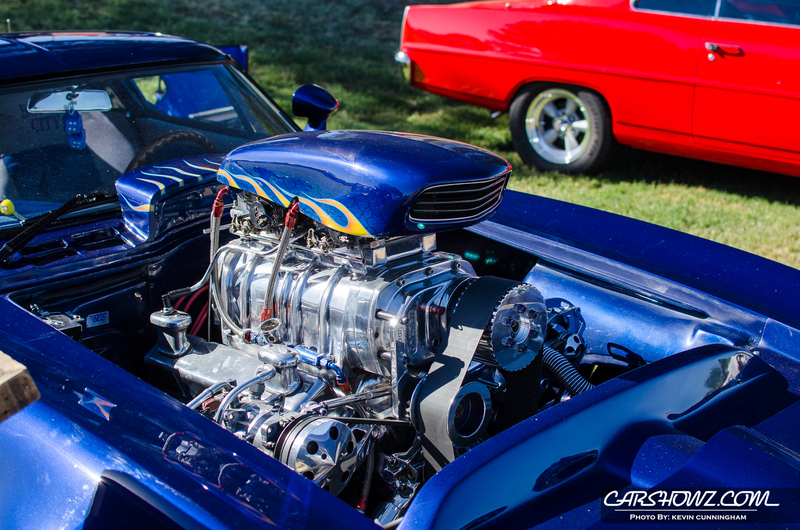 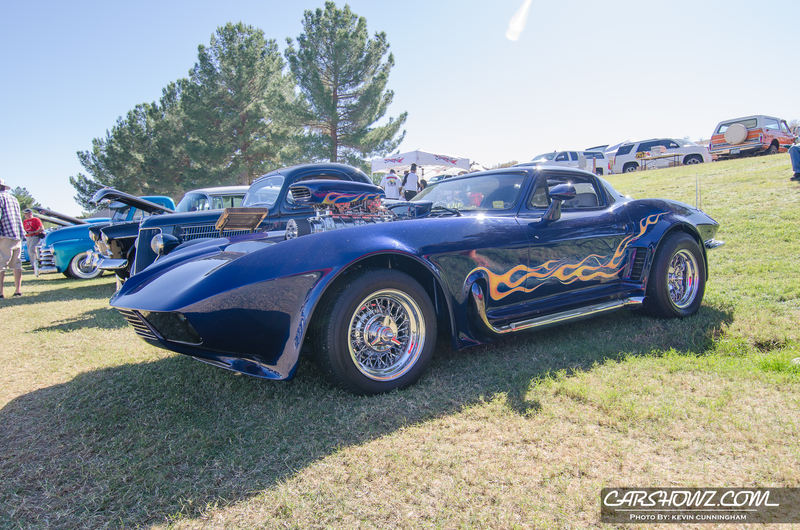 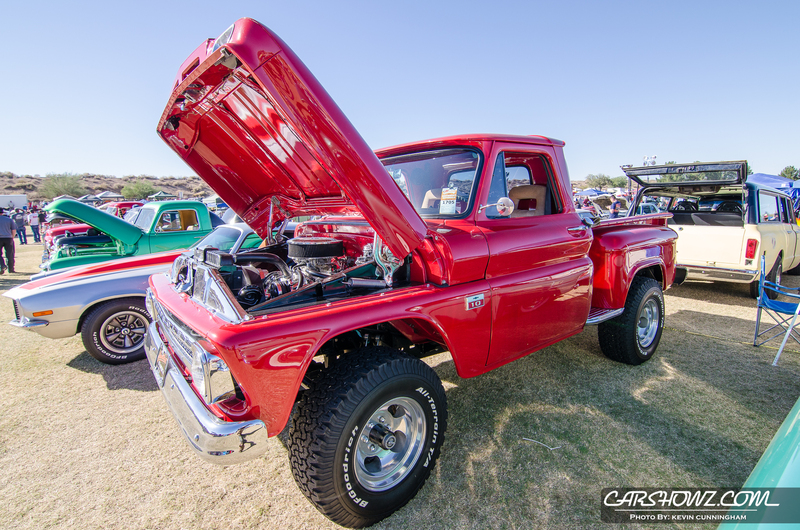 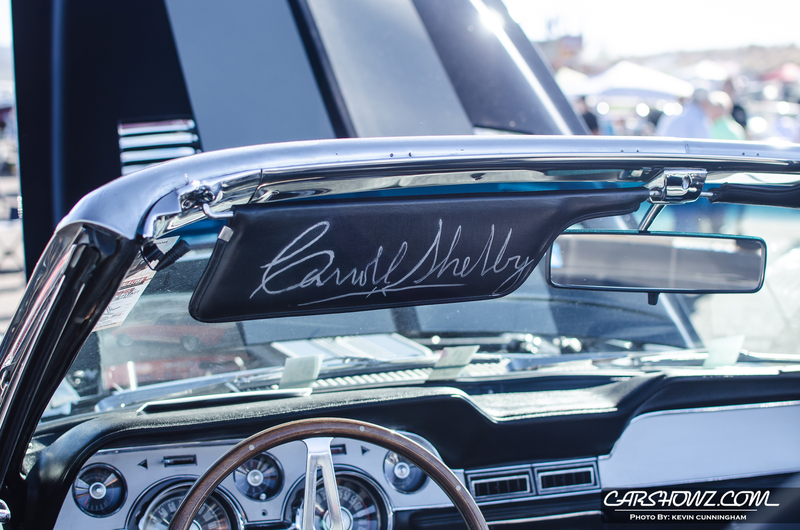 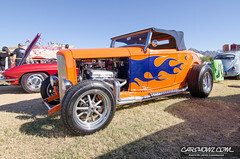 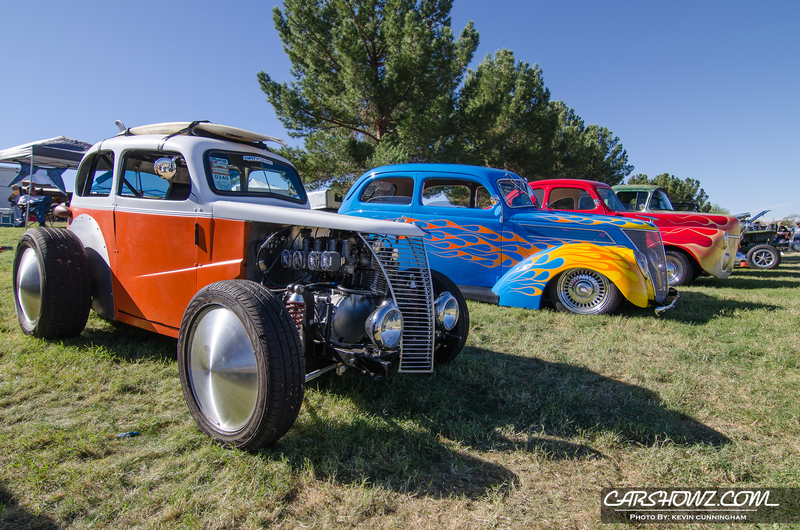 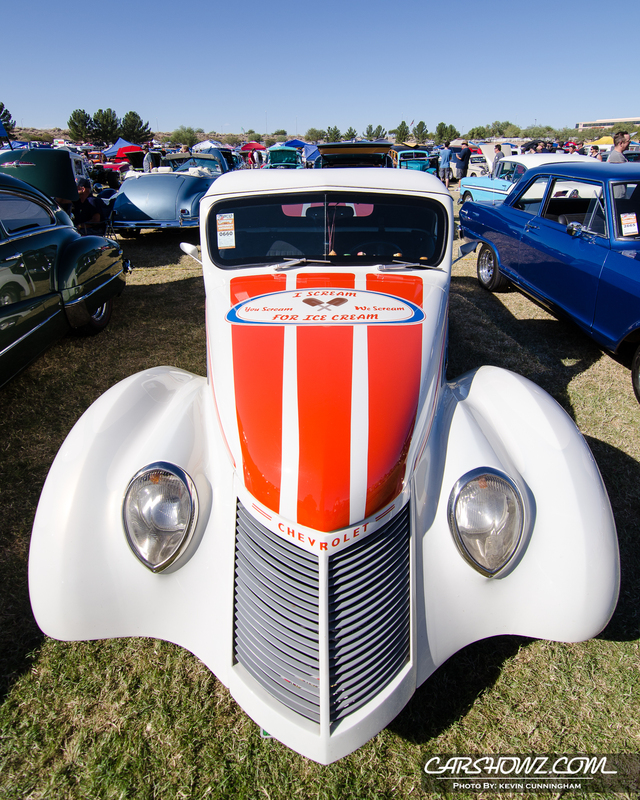 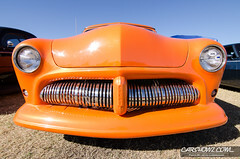 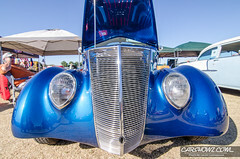 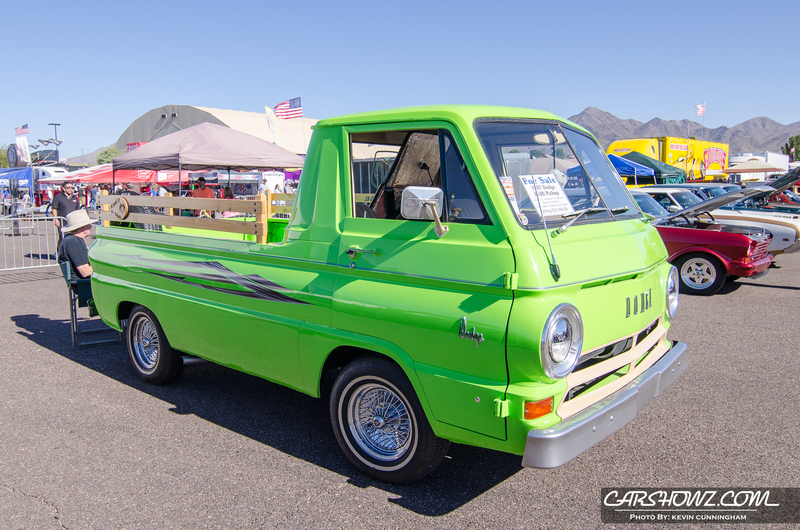 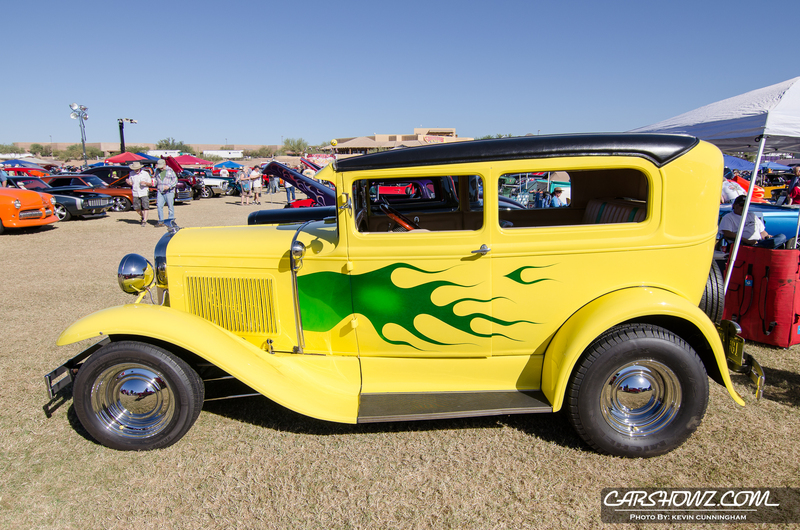 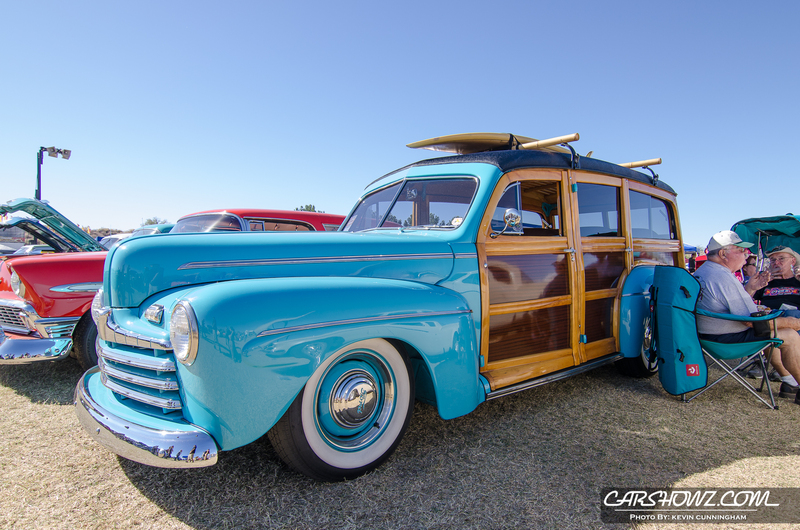 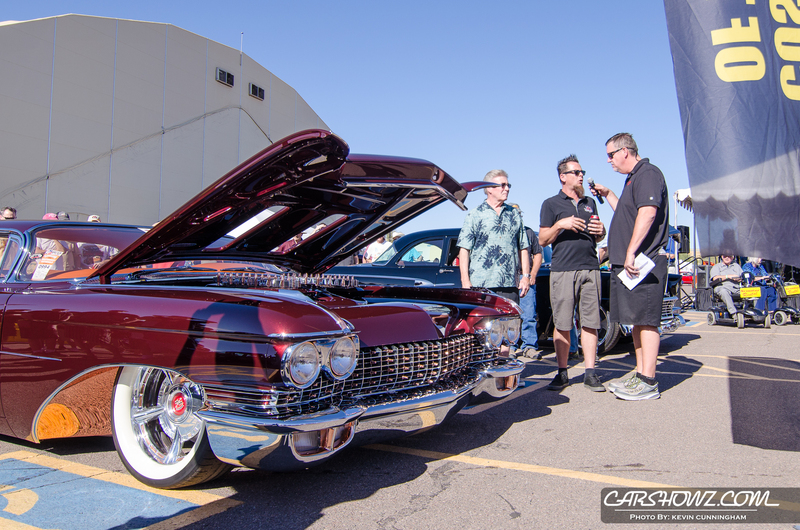 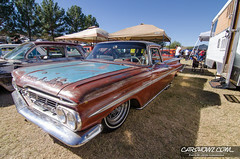 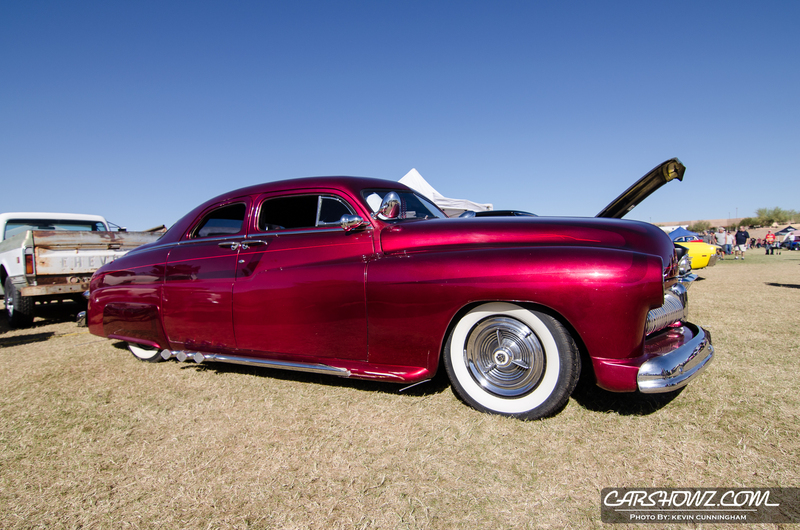 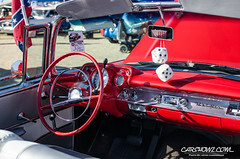 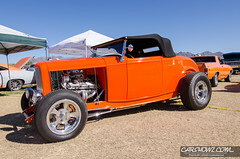 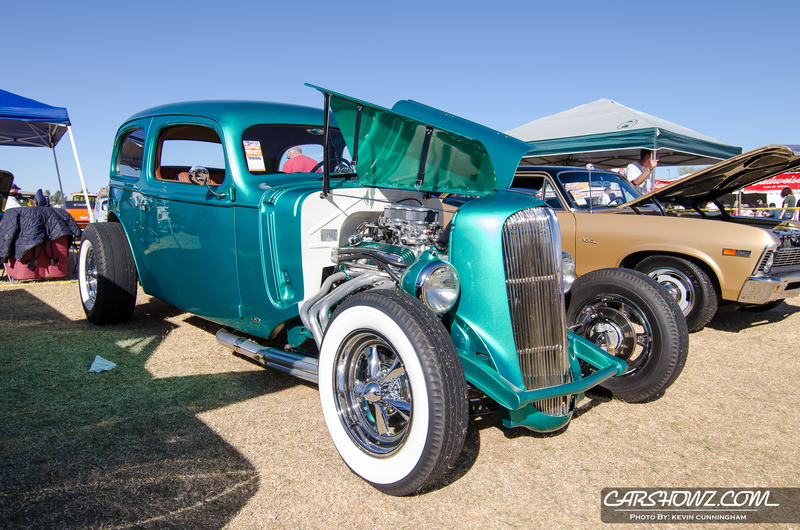 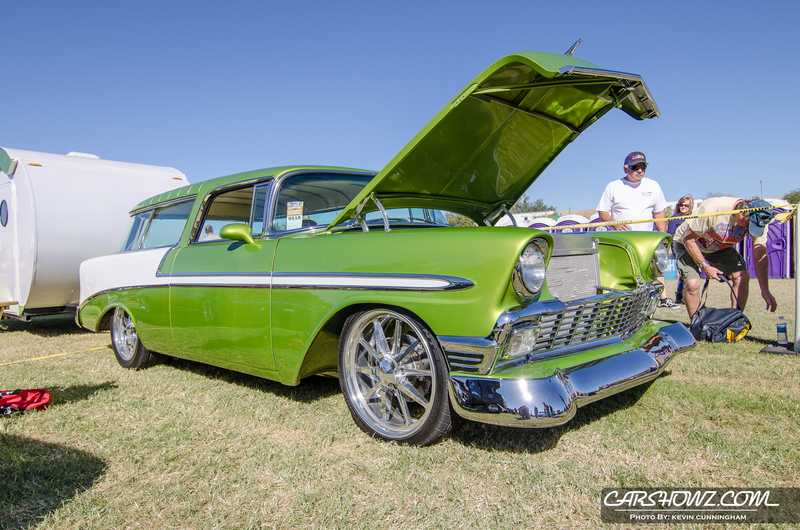 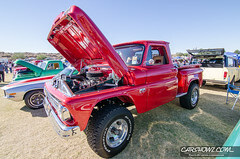 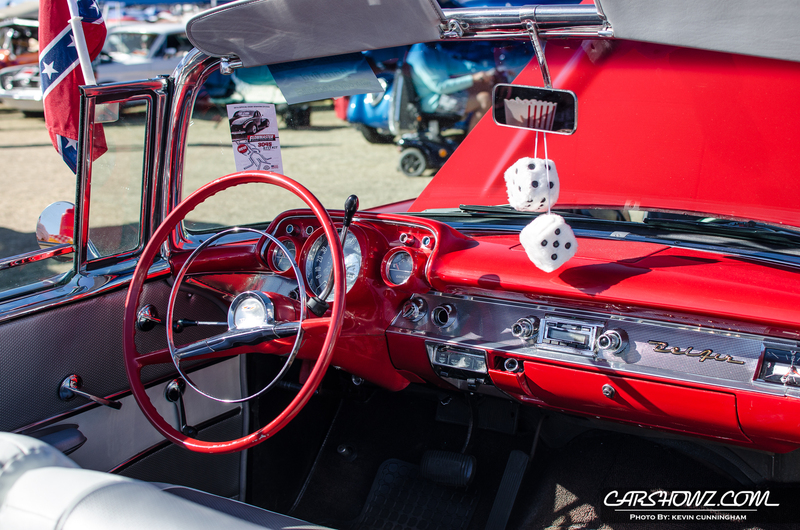 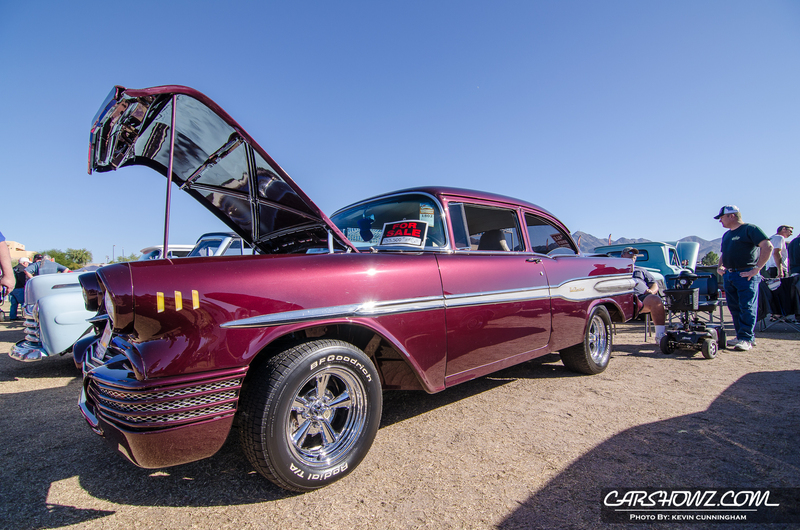 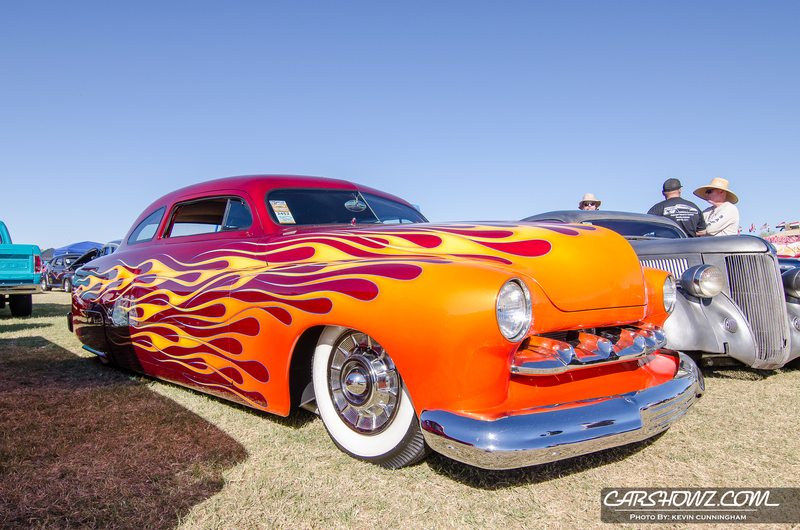 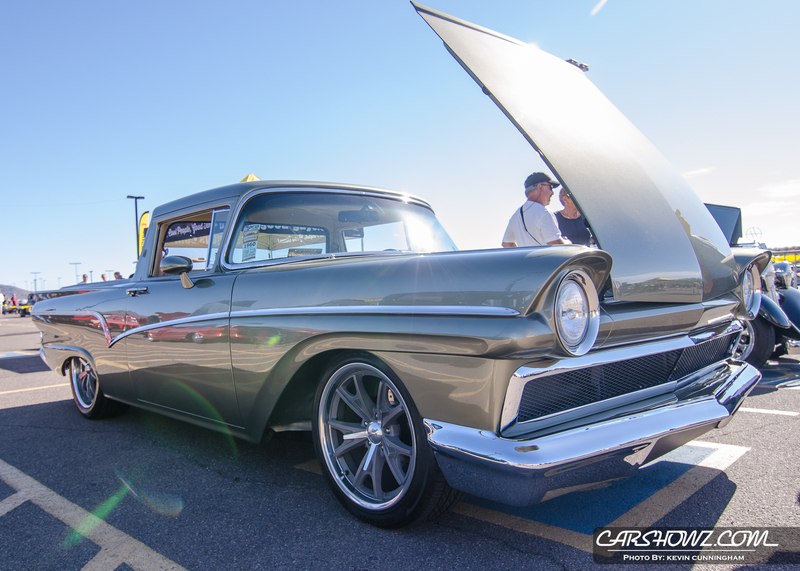 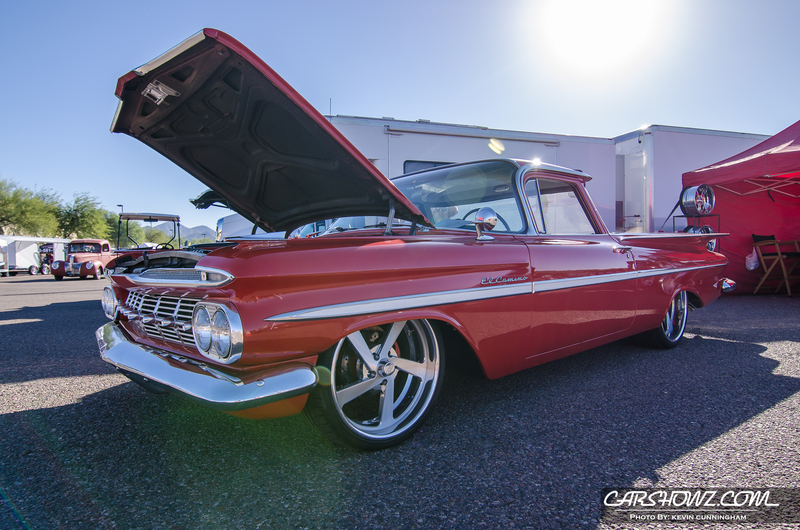 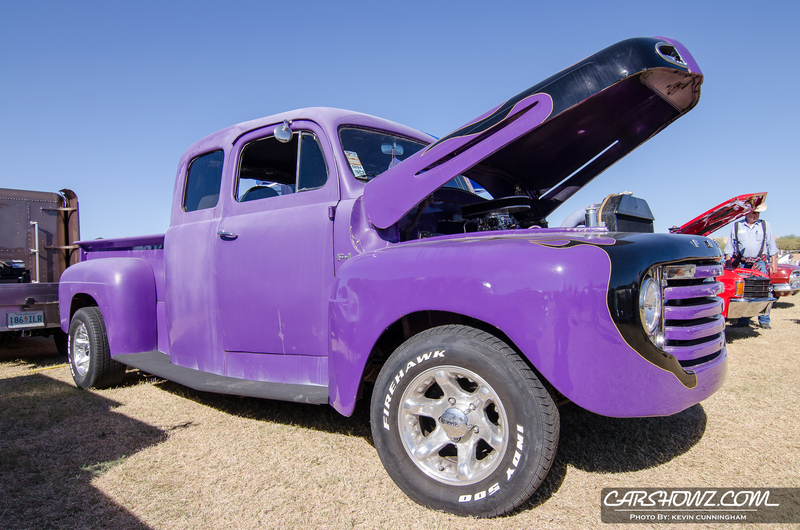 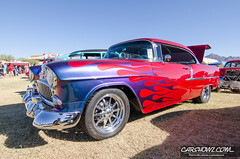 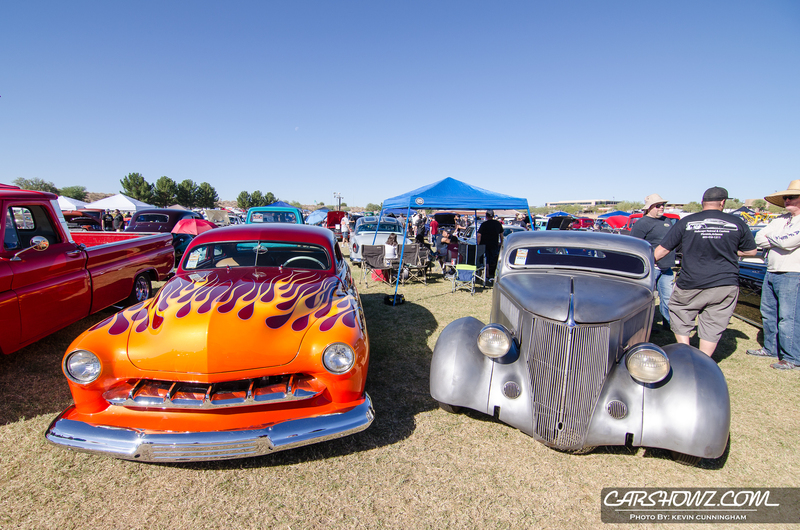 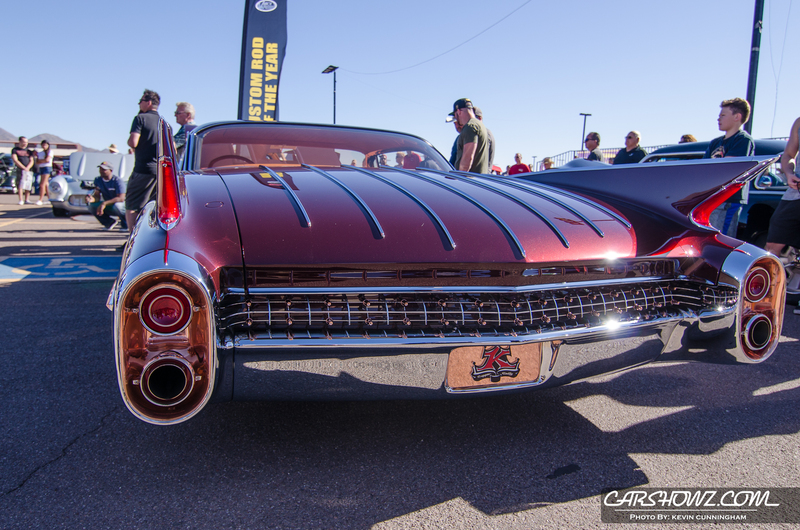 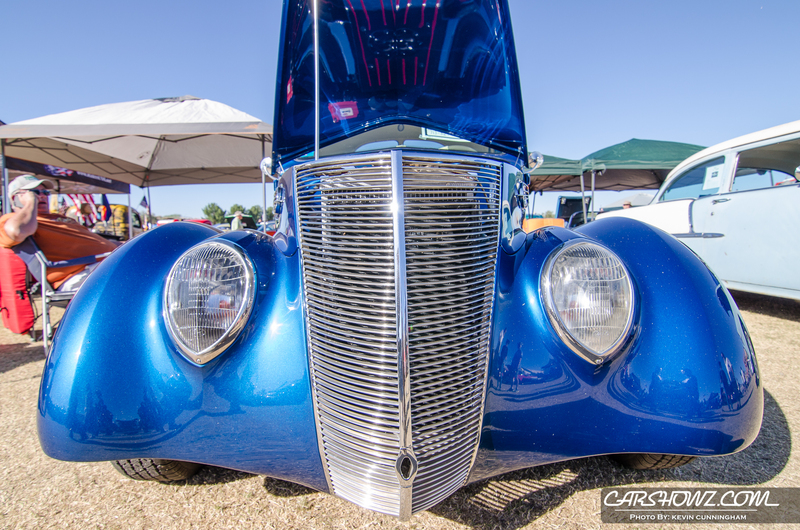 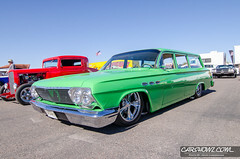 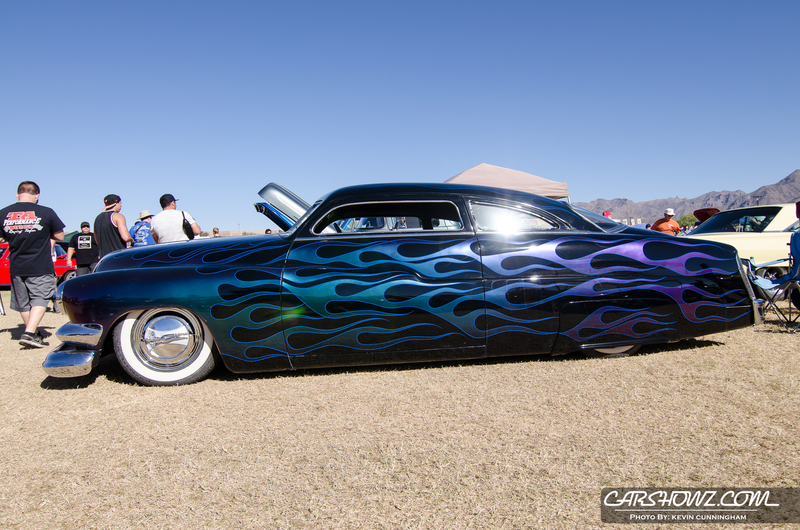 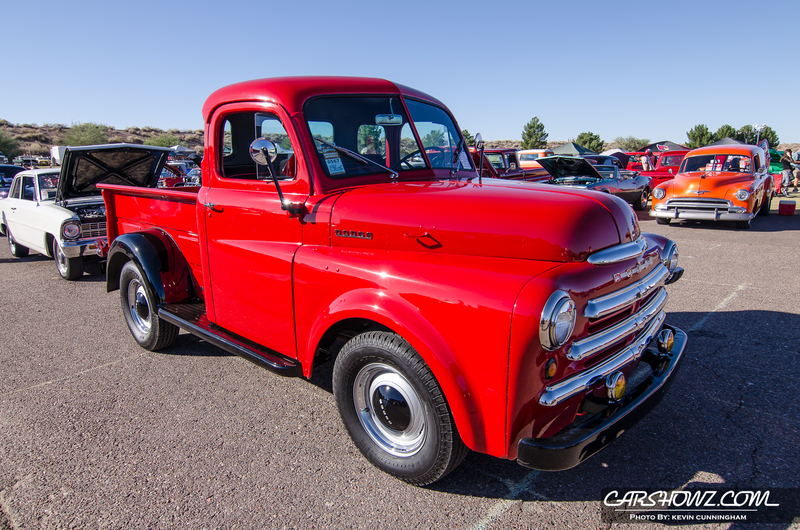 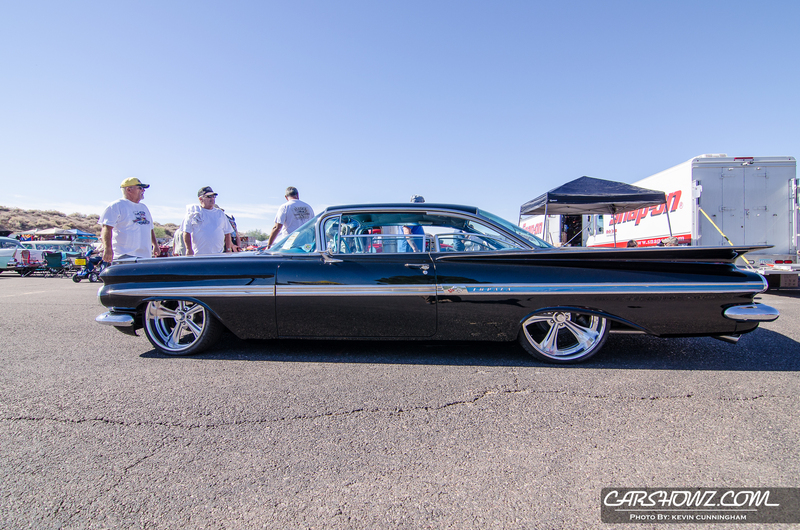 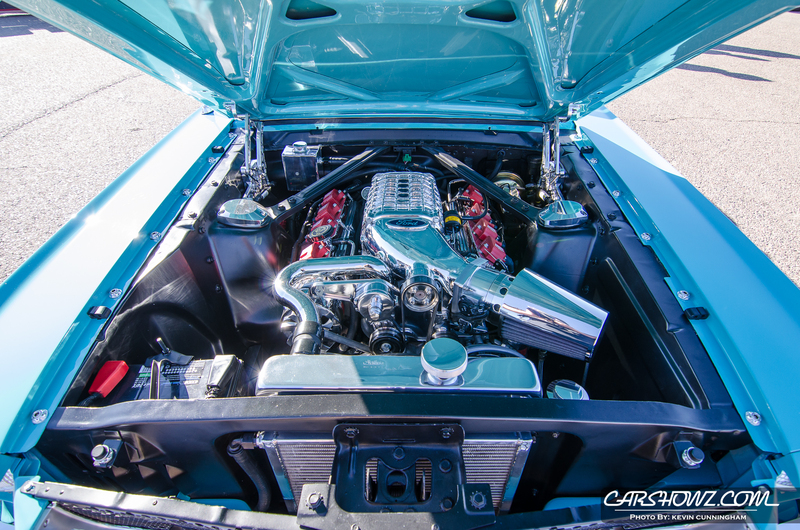 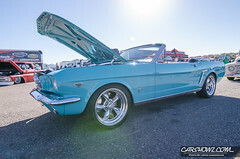 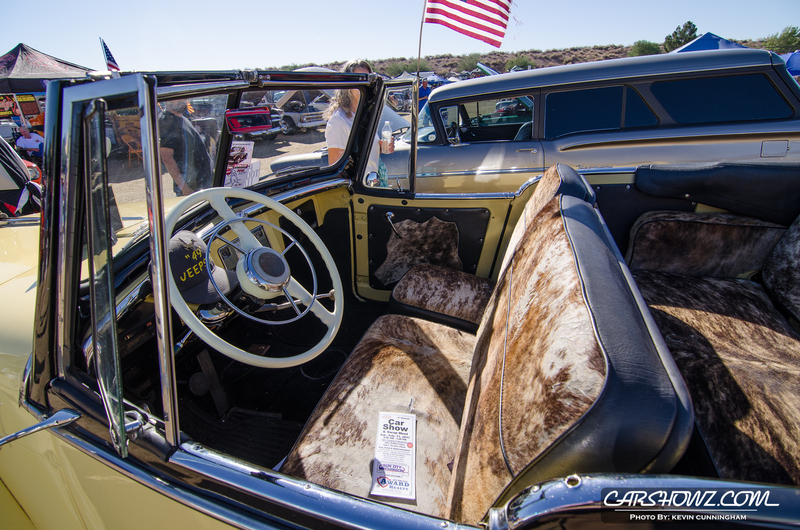 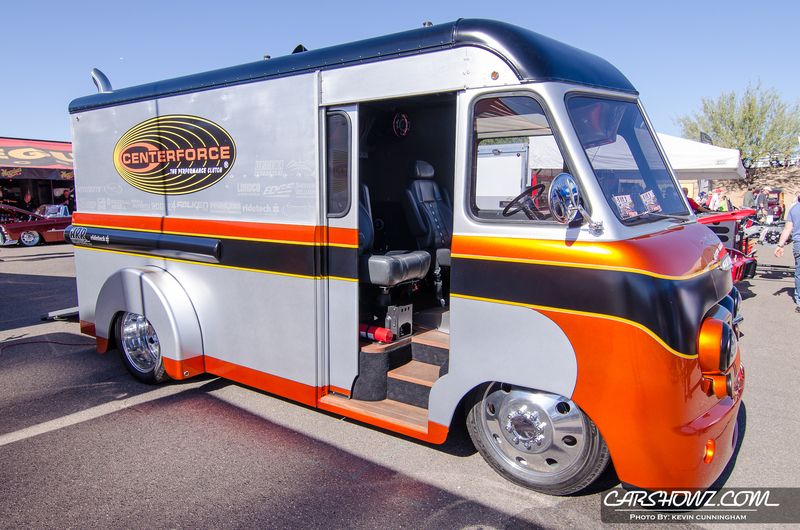 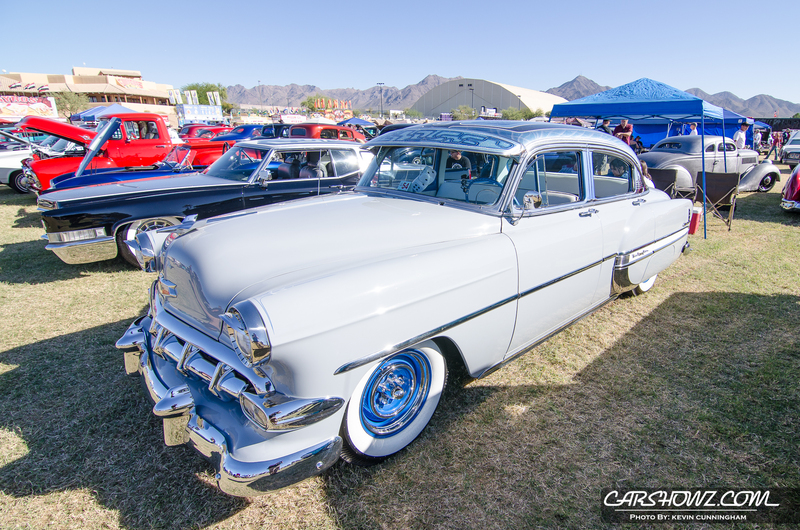 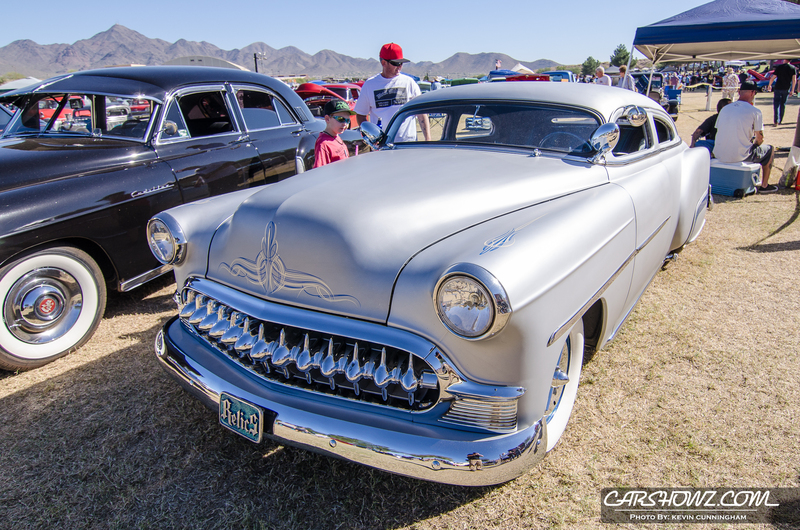 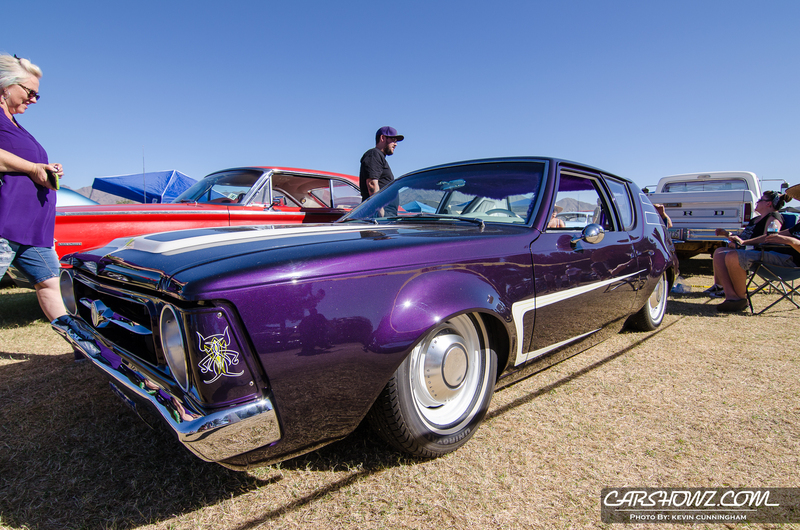 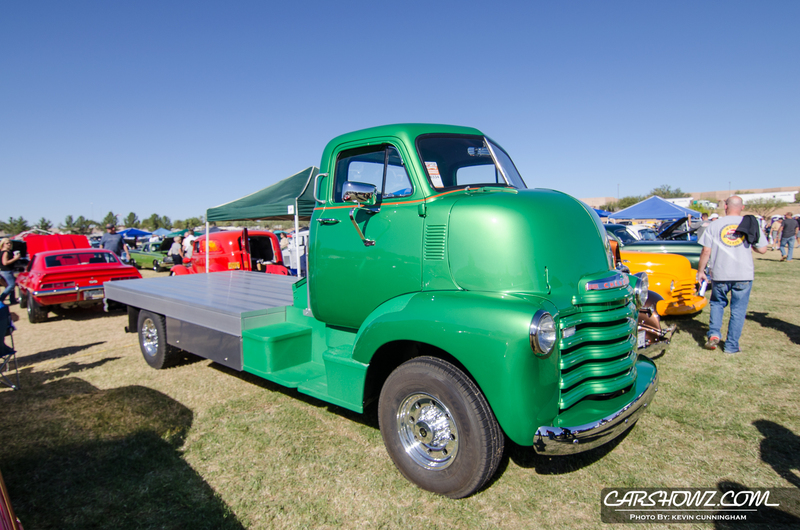 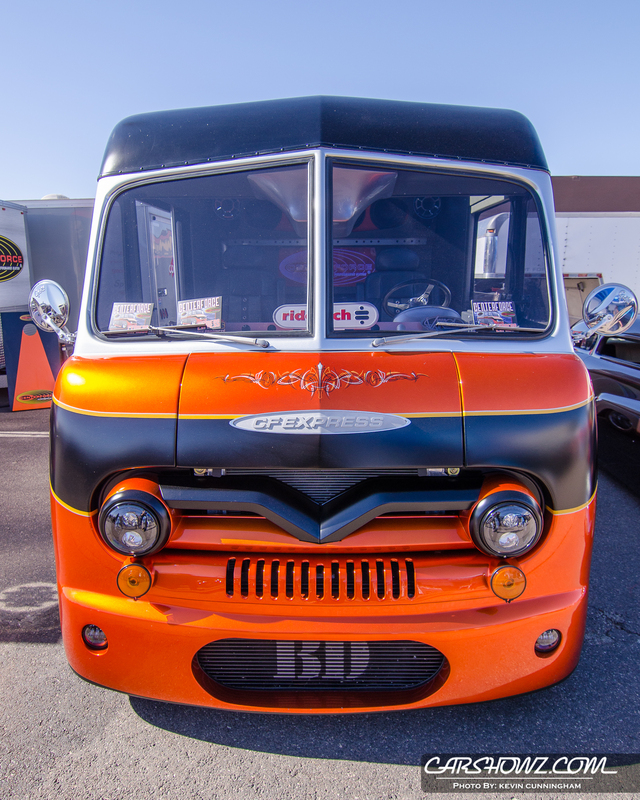 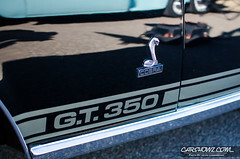 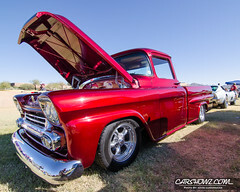 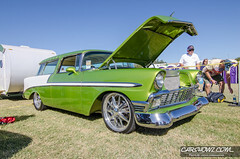 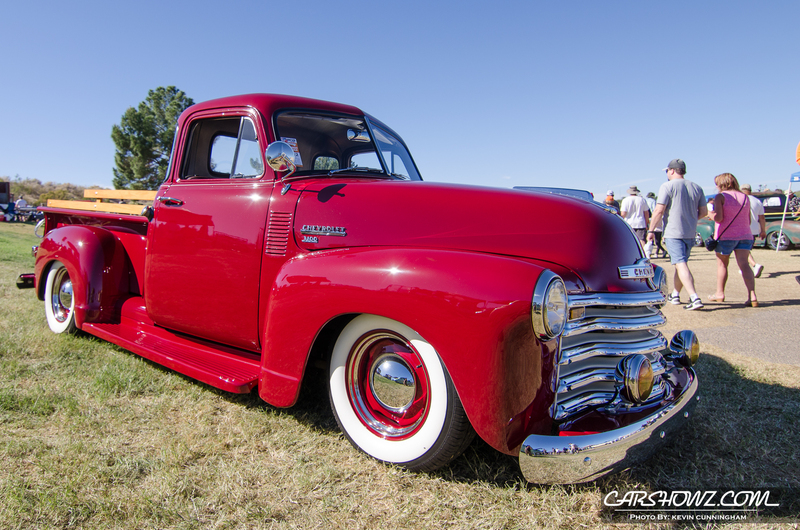 Goodguys events feature thousands of candy colored hot rods and customs, tricked out trucks, mighty muscle cars and regal classics sprawled throughout venues such as lush fairgrounds, super speedways and large outdoor stadiums. 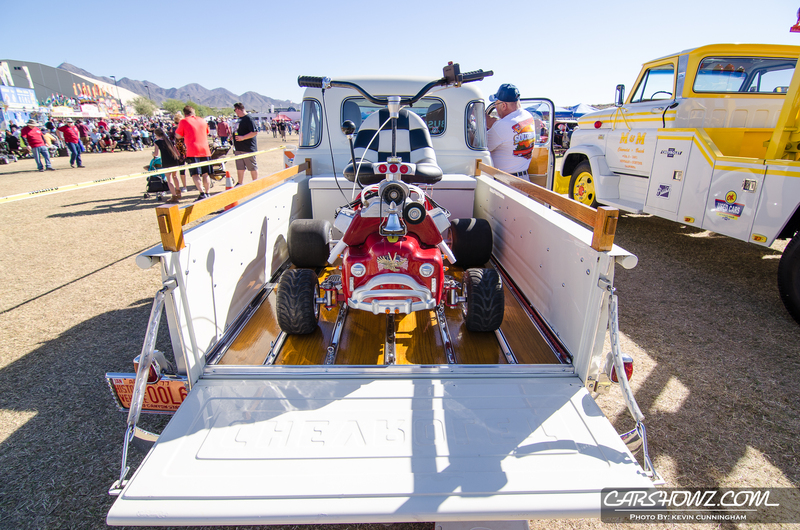 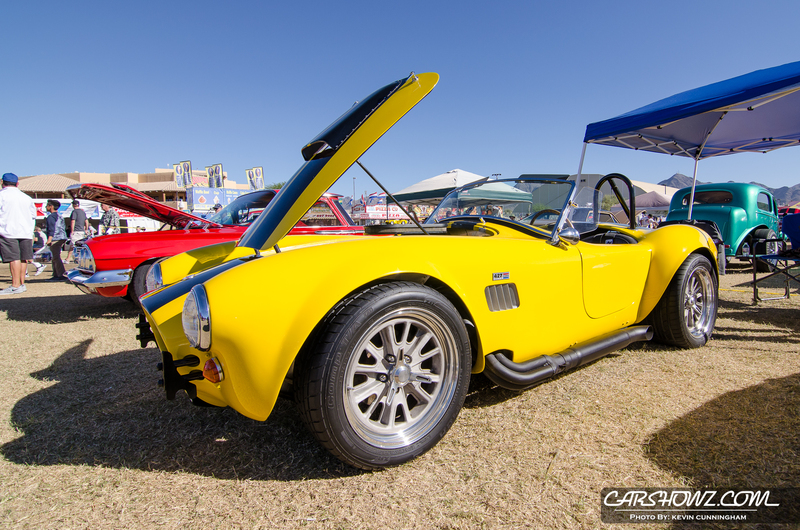 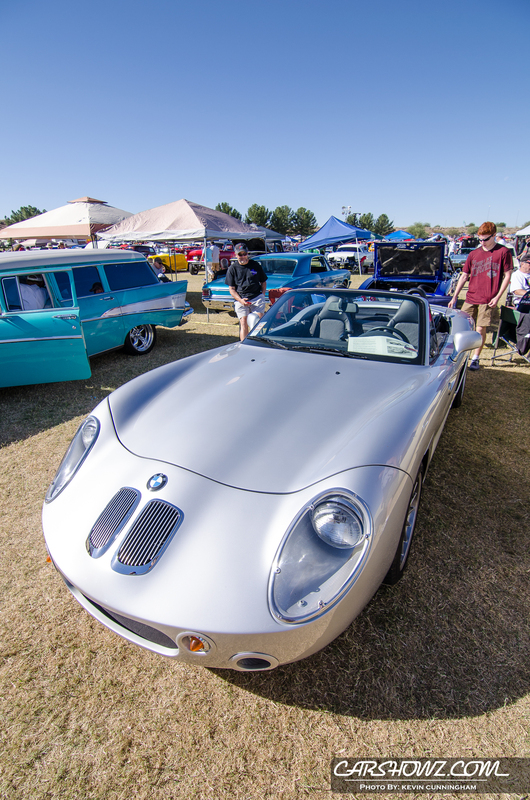 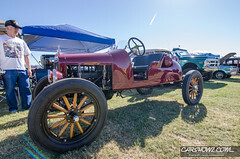 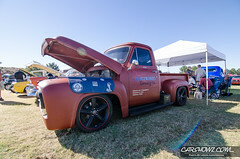 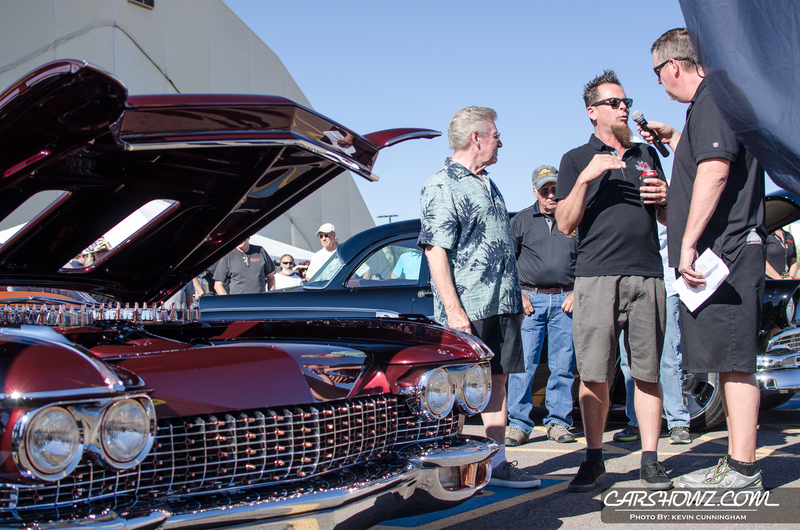 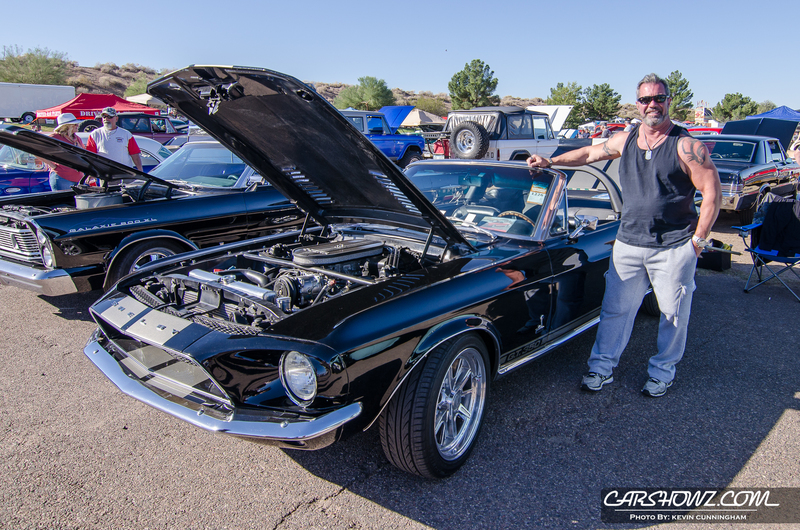 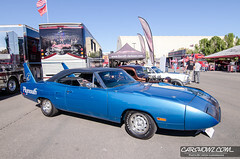 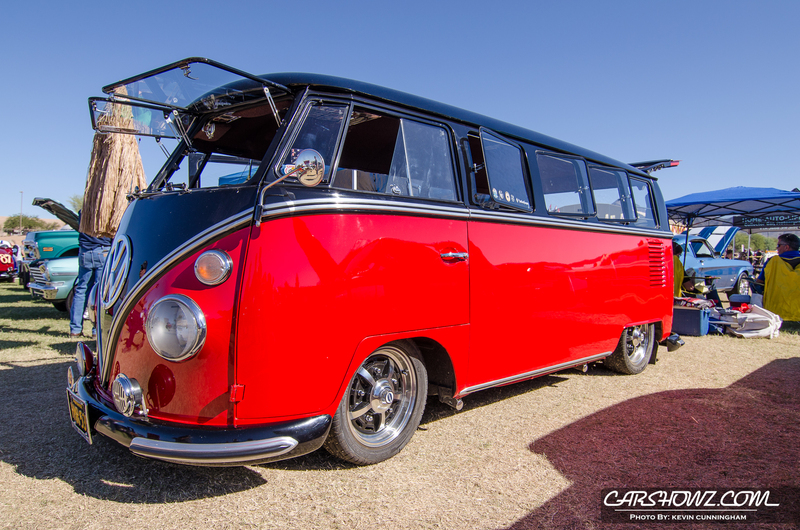 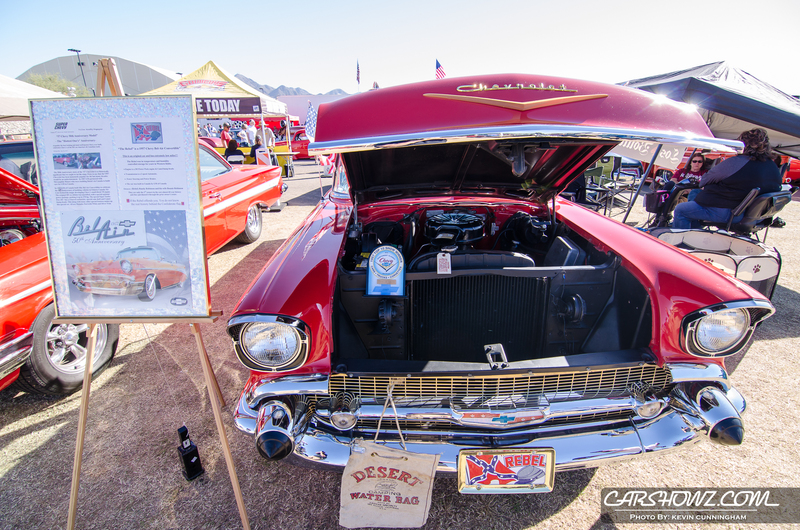 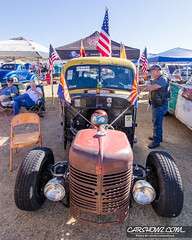 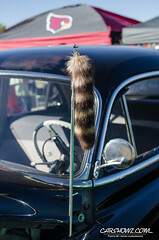 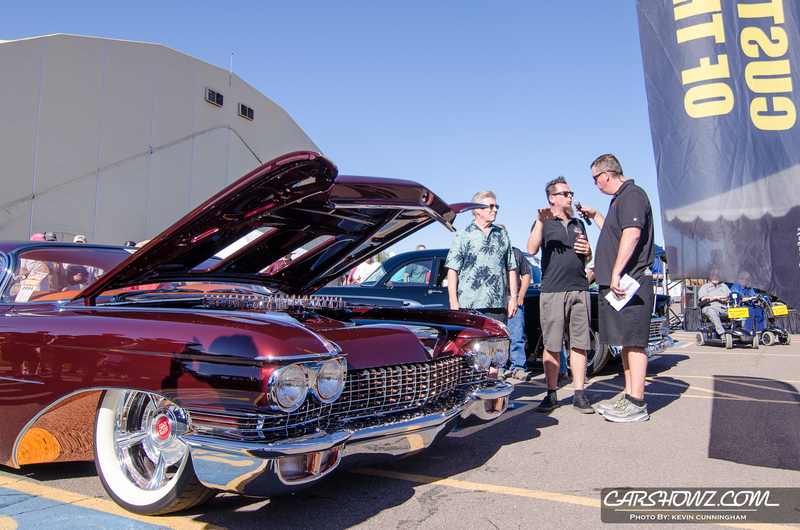 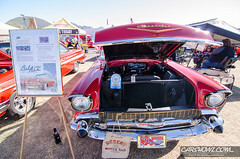 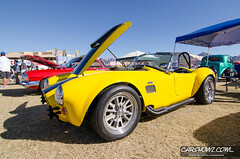 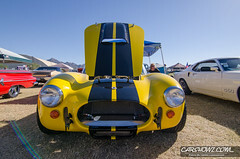 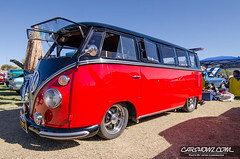 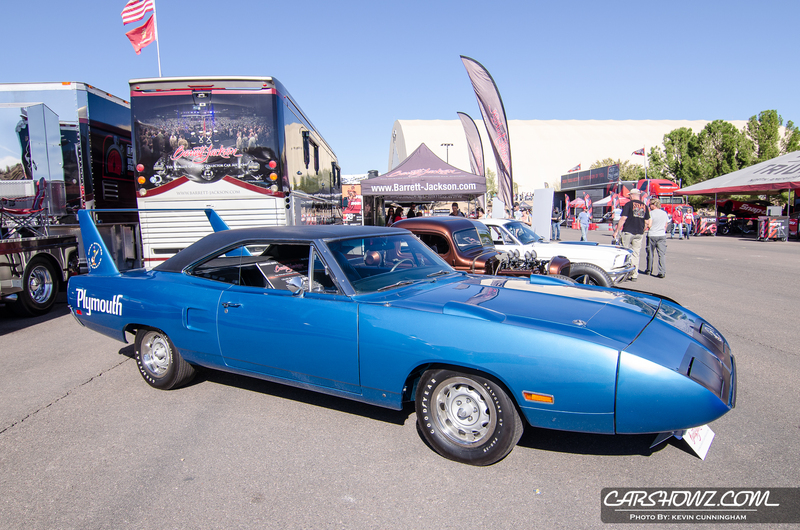 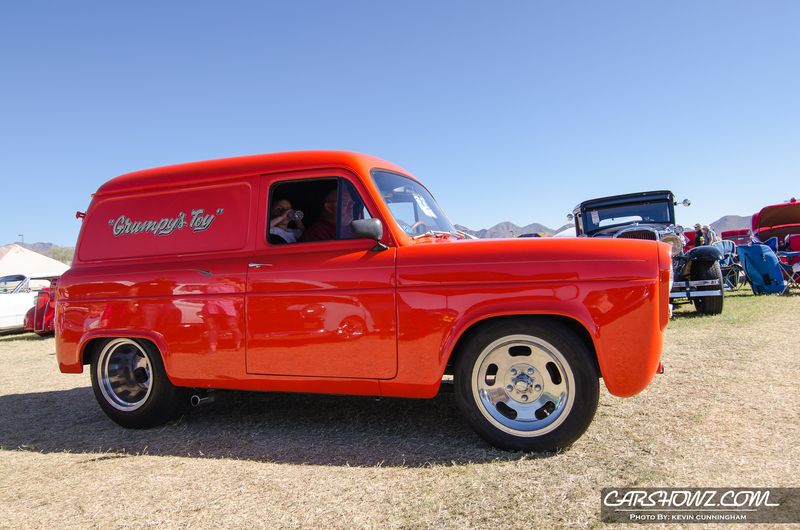 The cars, the vendor exhibits, the adrenaline-pumping Goodguys AutoCross, the live entertainment and colorful people create a festive atmosphere charged with electricity. 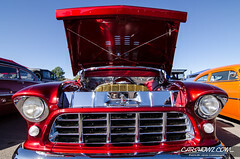 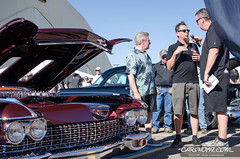 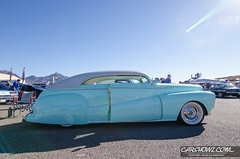 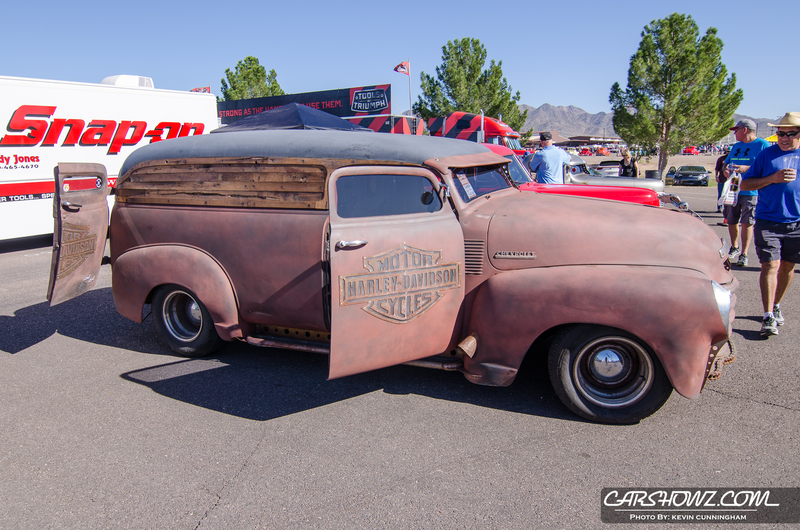 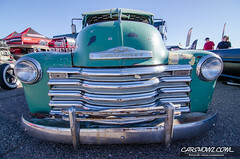 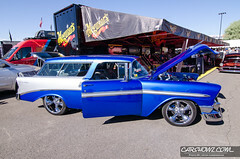 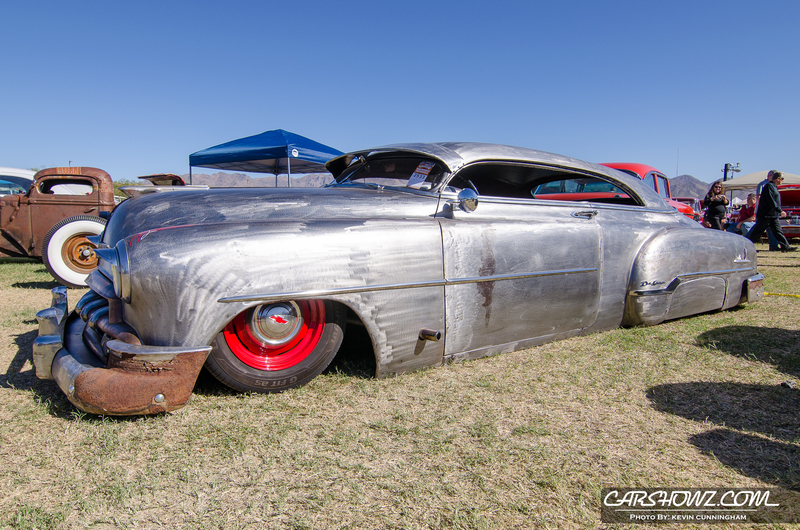 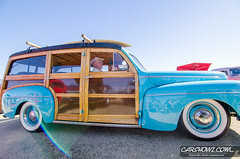 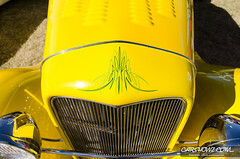 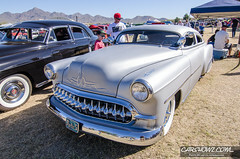 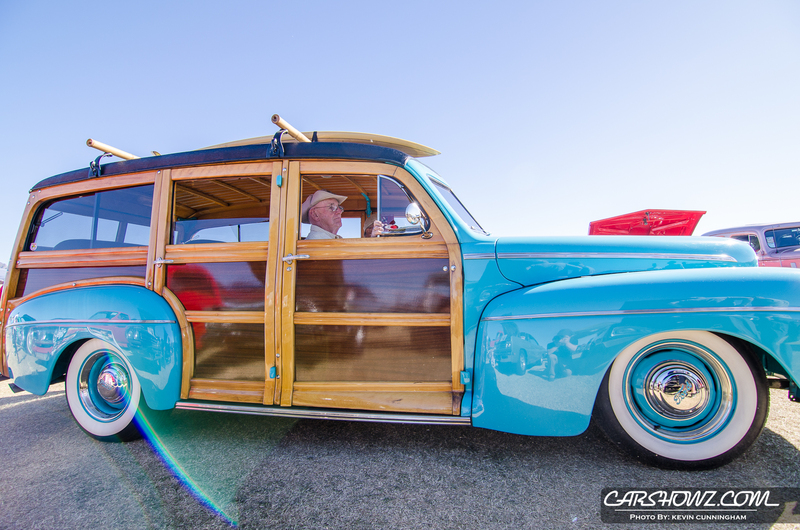 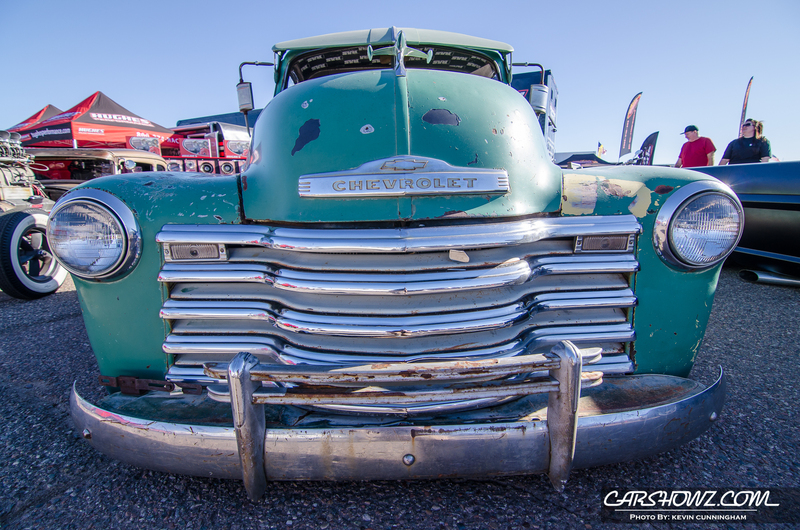 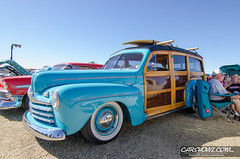 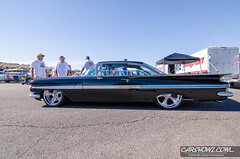 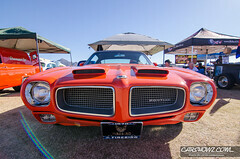 Goodguys offers over 20 events annually across the country from the coast to coast and border to border. Our events range from two-day affairs attended by 30,000 to 40,000 people to three day extravaganza’s attracting over 100,000 auto enthusiasts.